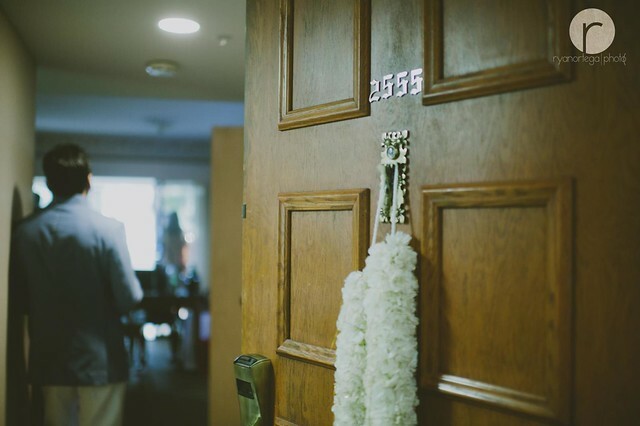 Shot for Nelwin Uy | Photography. 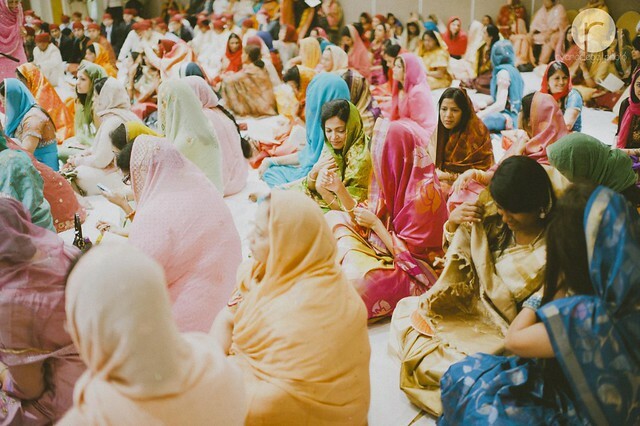 From Wikipedia : South Asian weddings are very bright events, filled with ritual and celebration, that continue for several days. 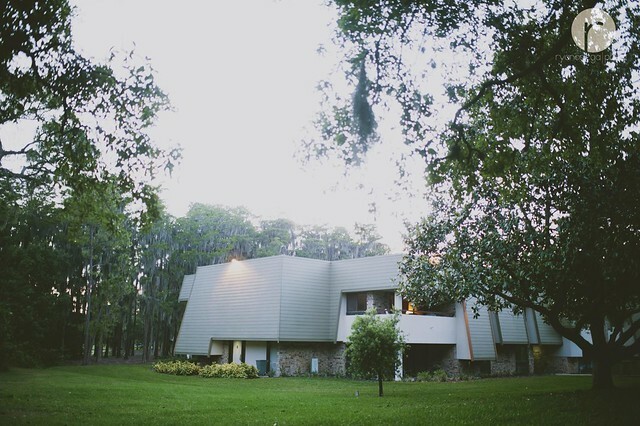 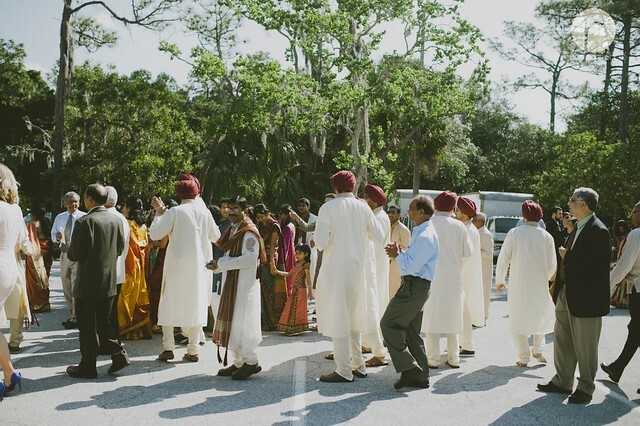 They are generally not small affairs, with anywhere between 100 to 10,000 people attending. 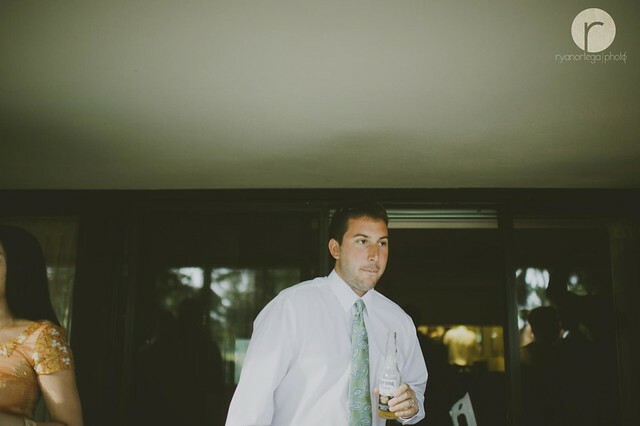 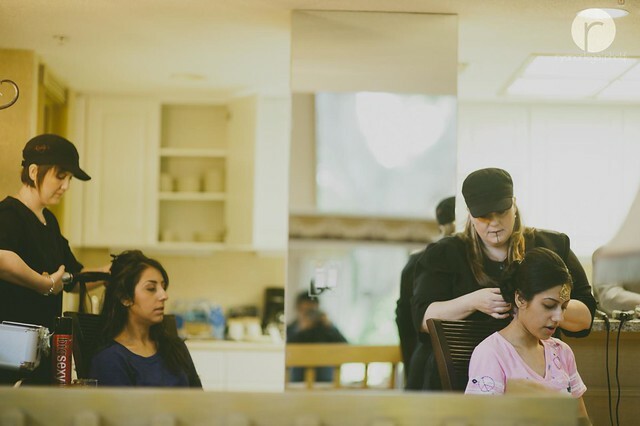 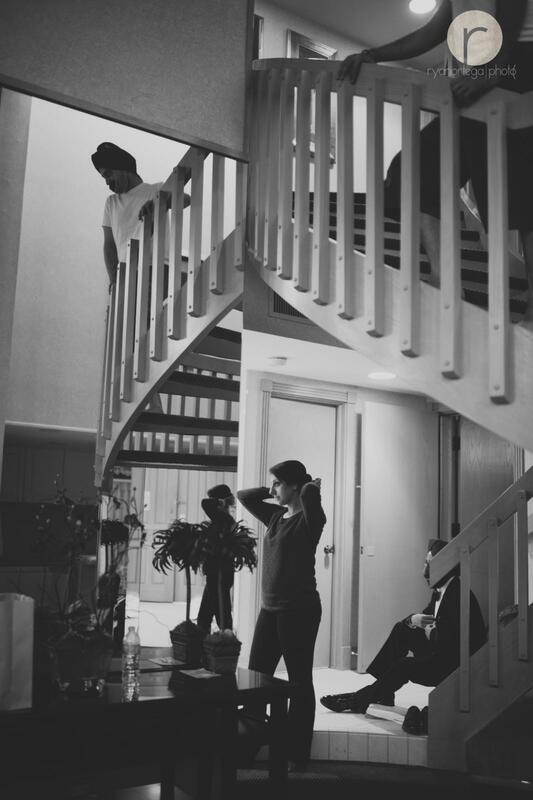 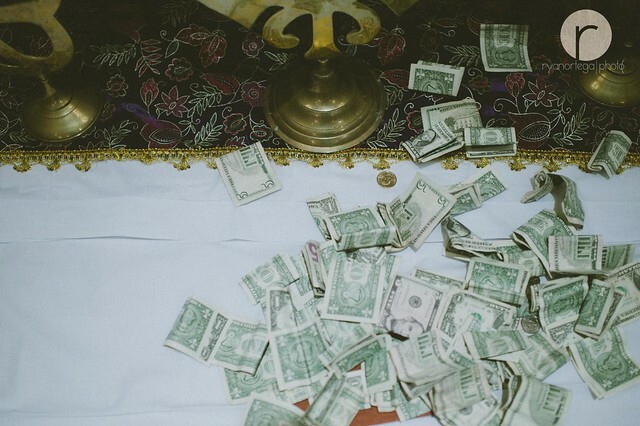 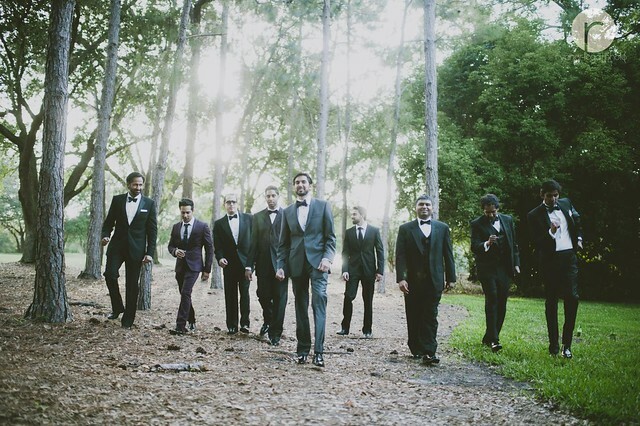 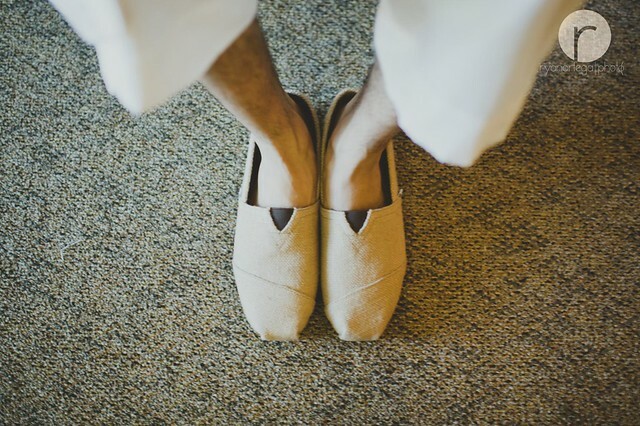 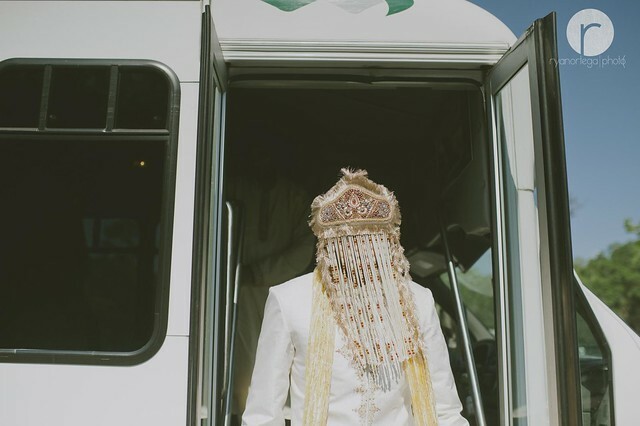 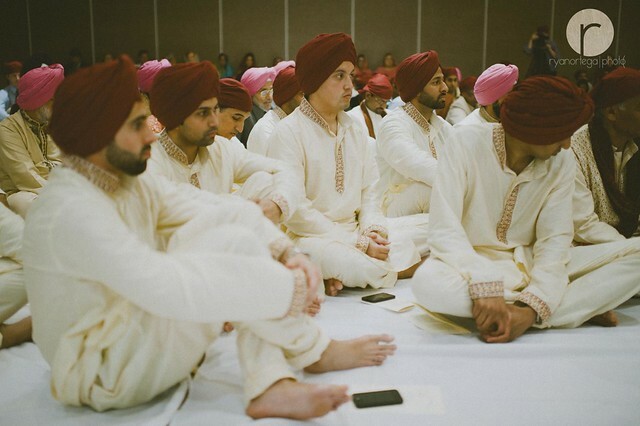 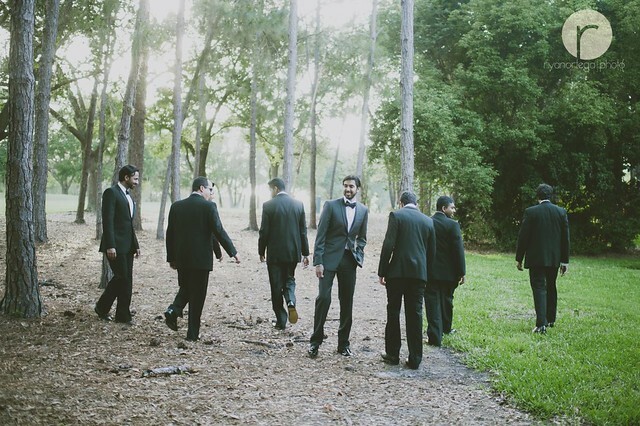 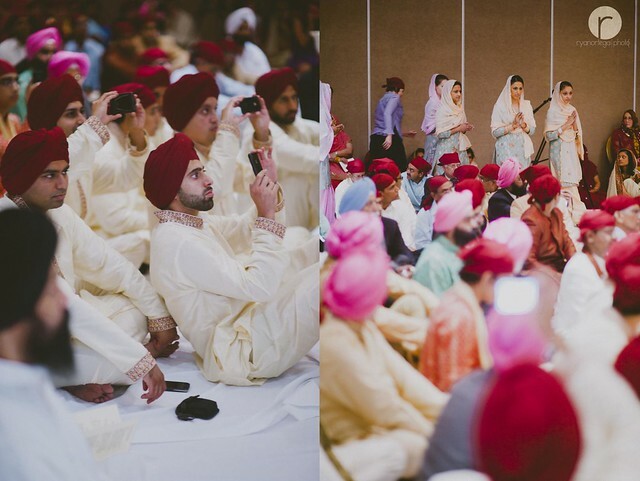 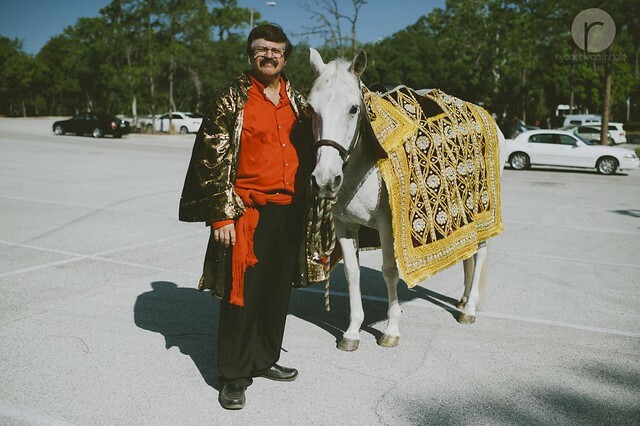 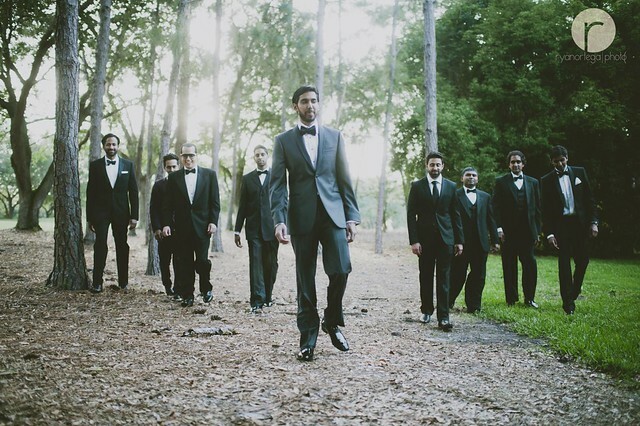 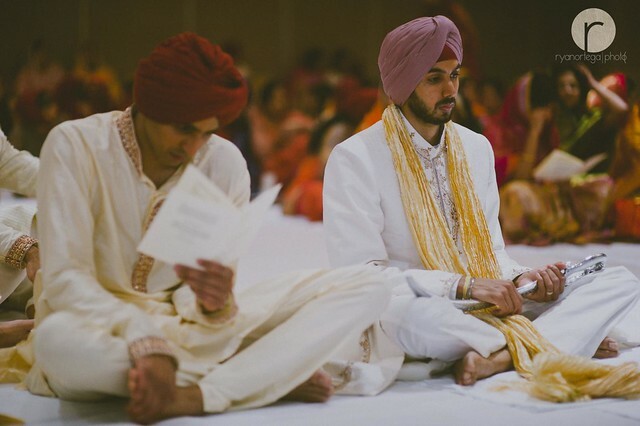 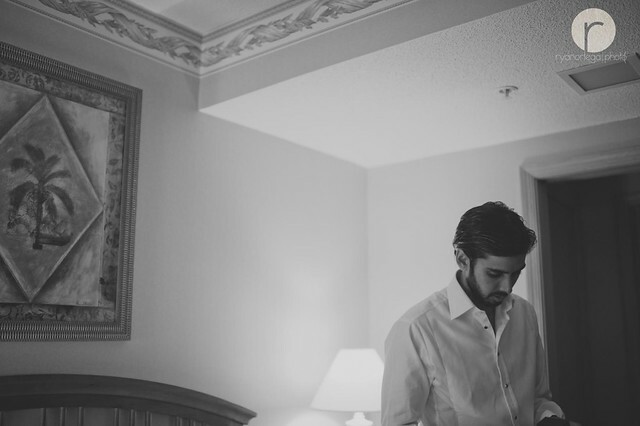 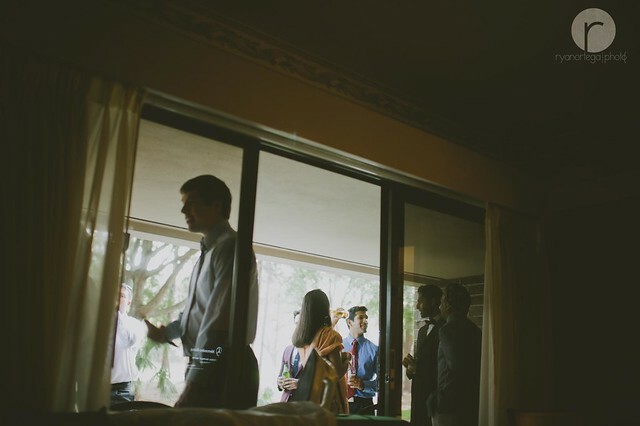 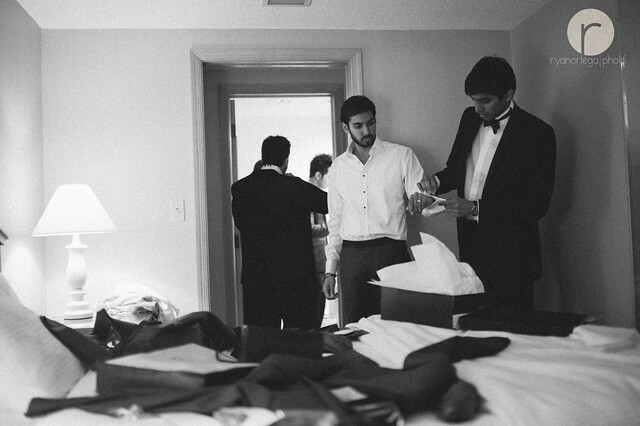 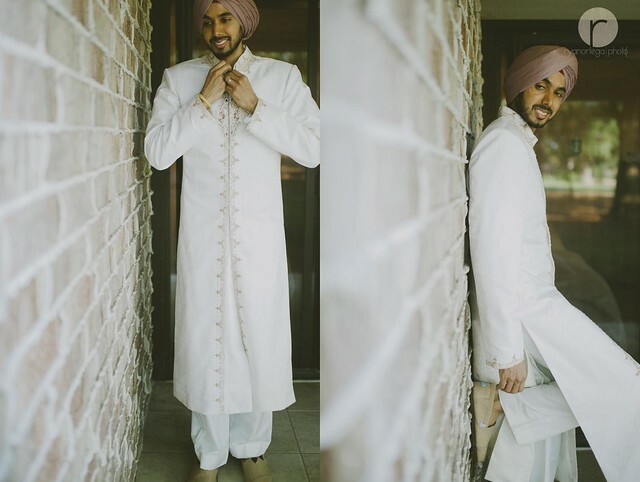 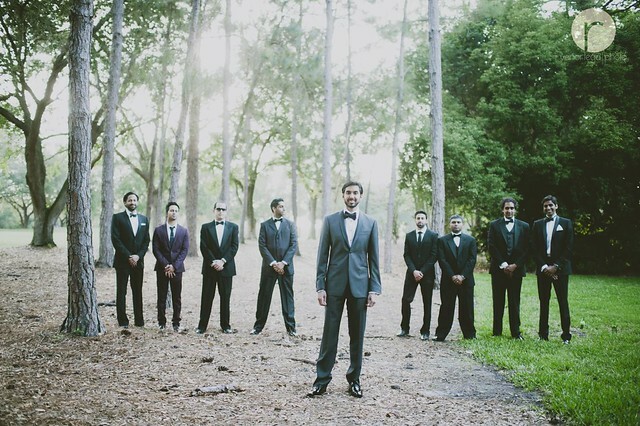 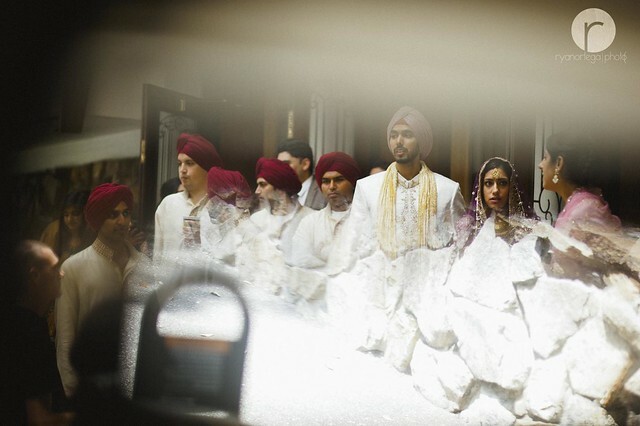 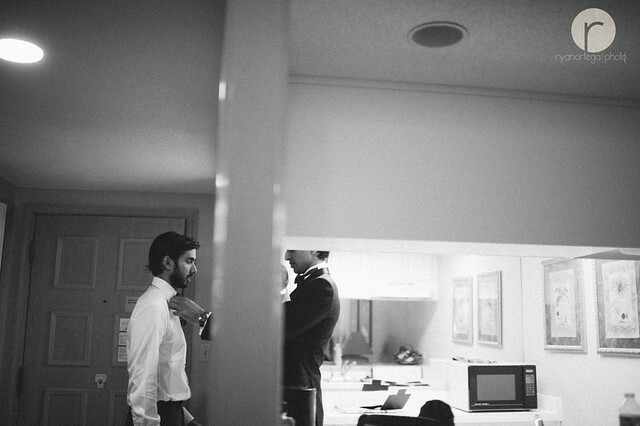 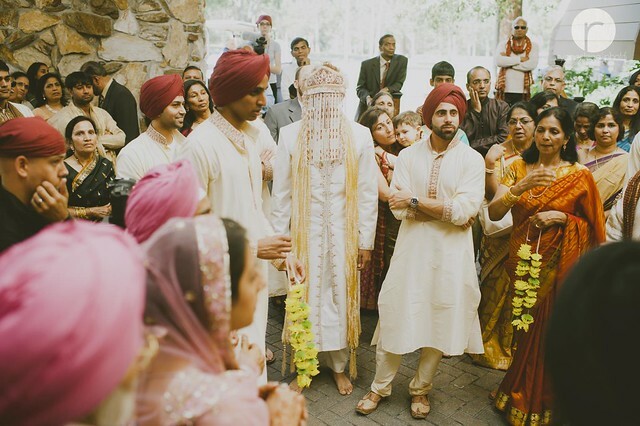 Often, it is possible that many of the attendees are unknown to the bride and groom themselves. 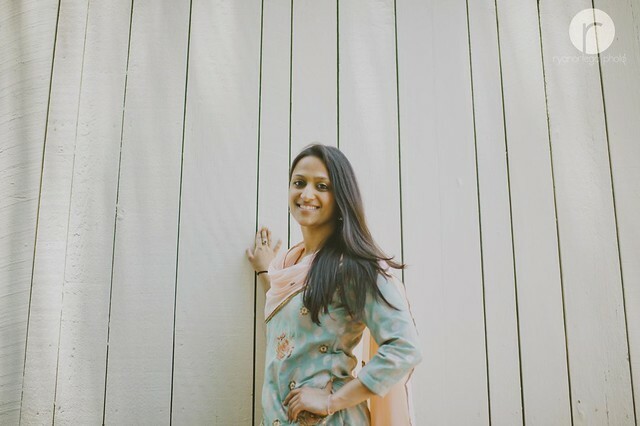 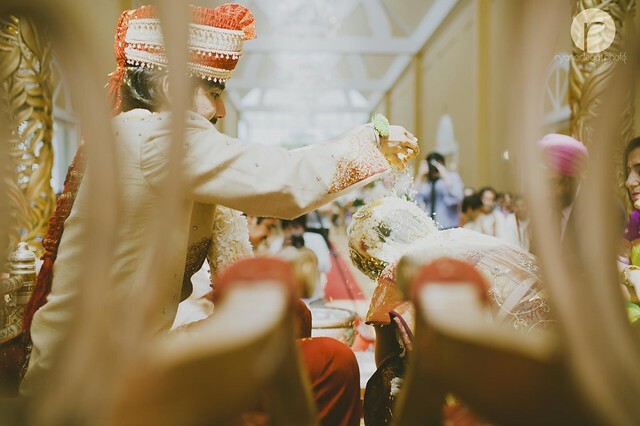 Though most Indian marriages are arranged, some couples in urban areas have what are known as “love marriages”, in which the partners decide to marry each other without family involvement or assistance. 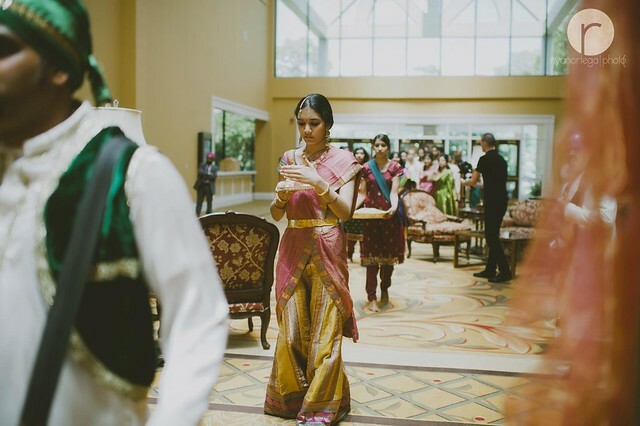 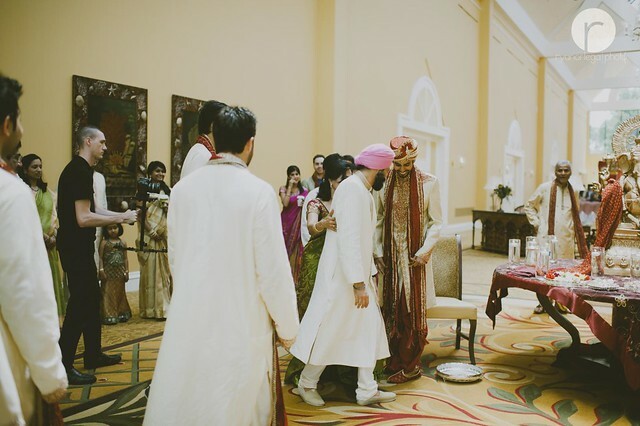 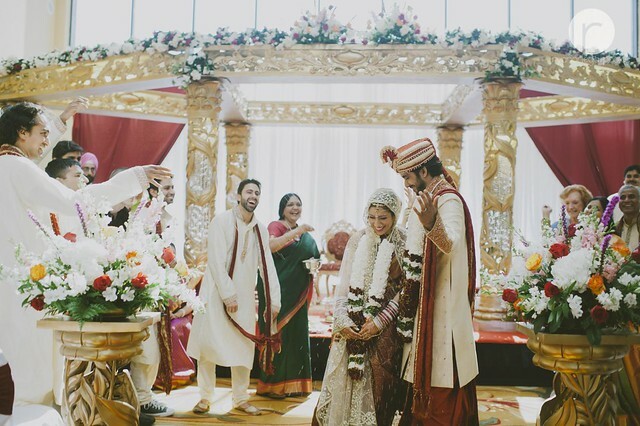 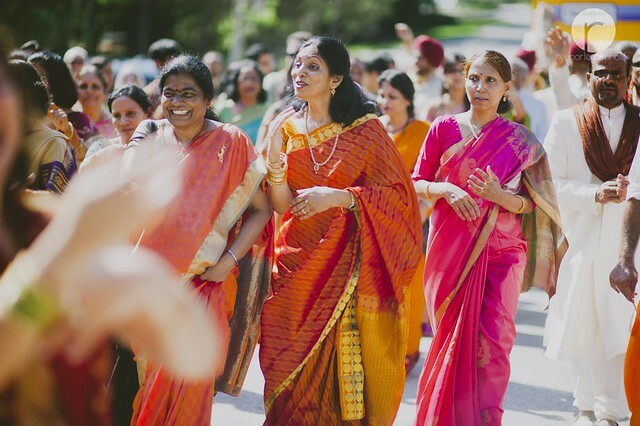 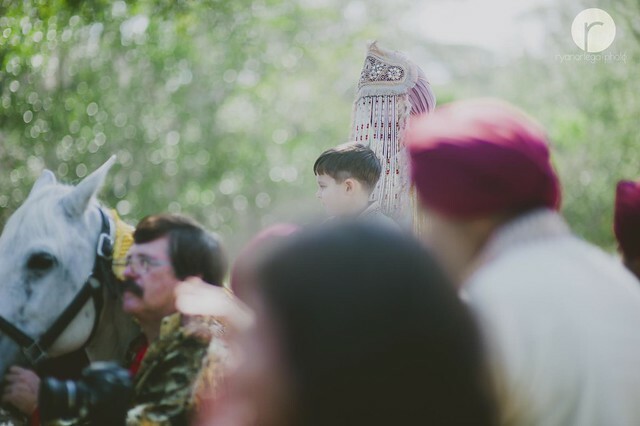 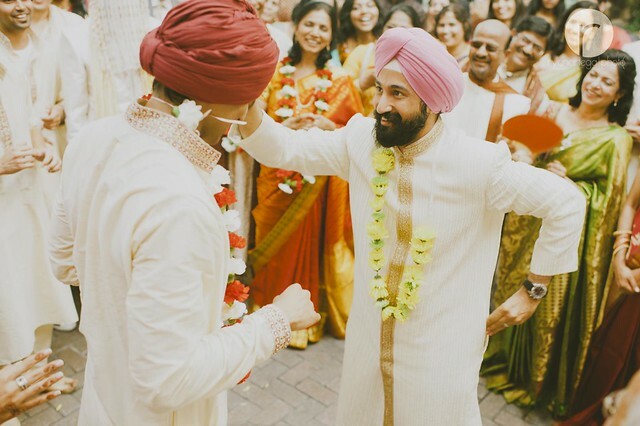 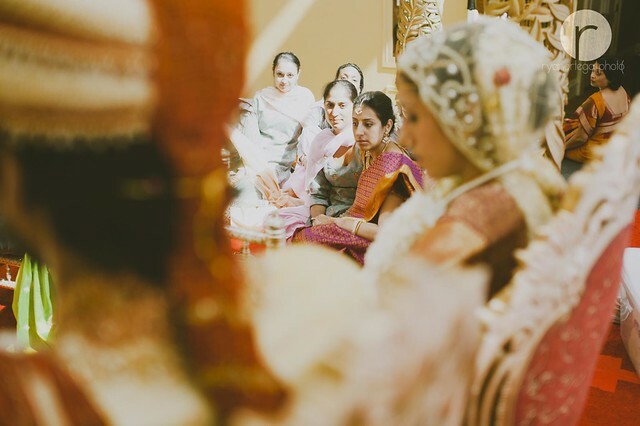 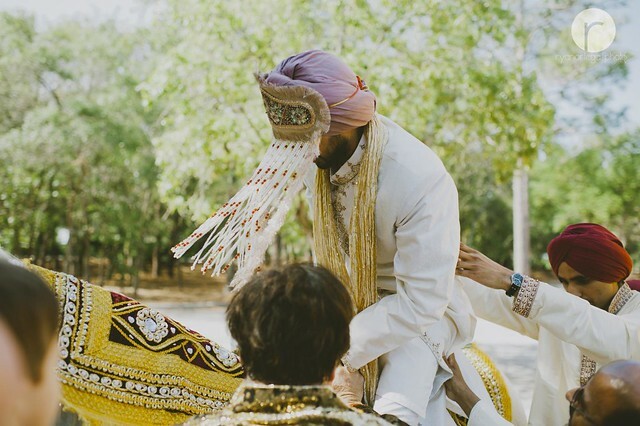 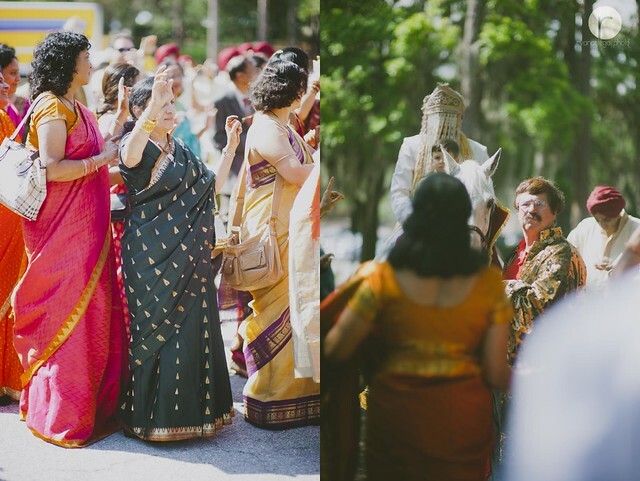 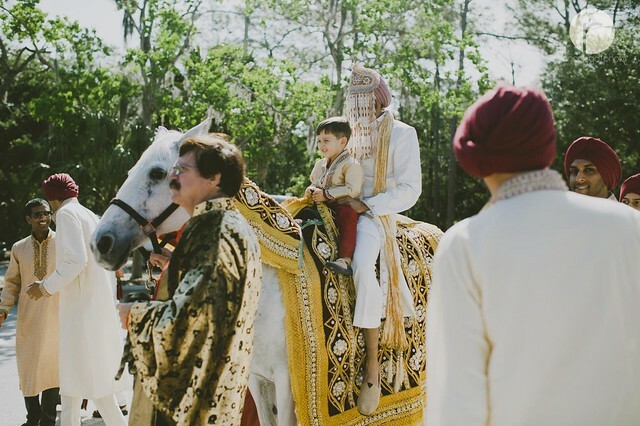 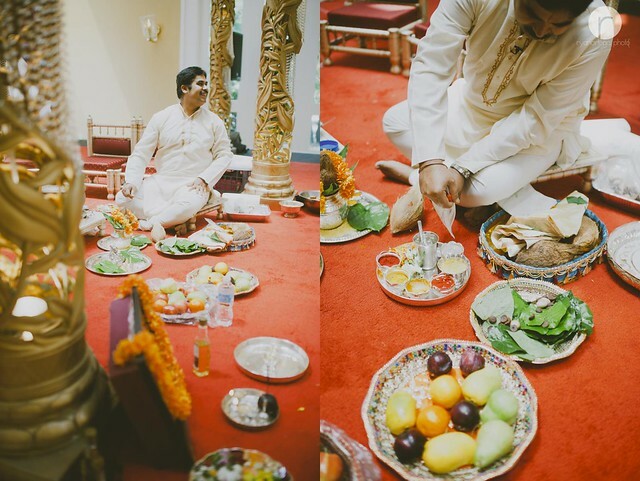 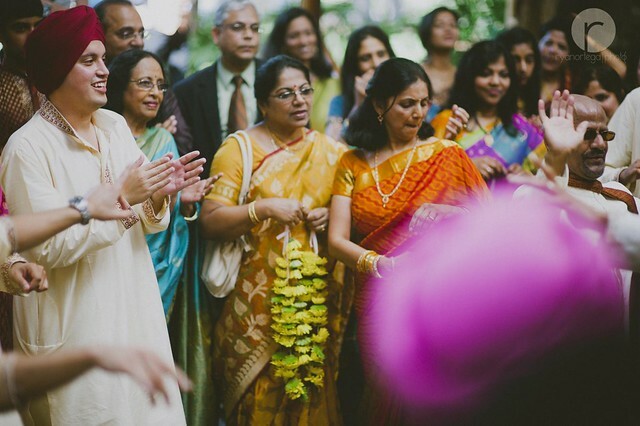 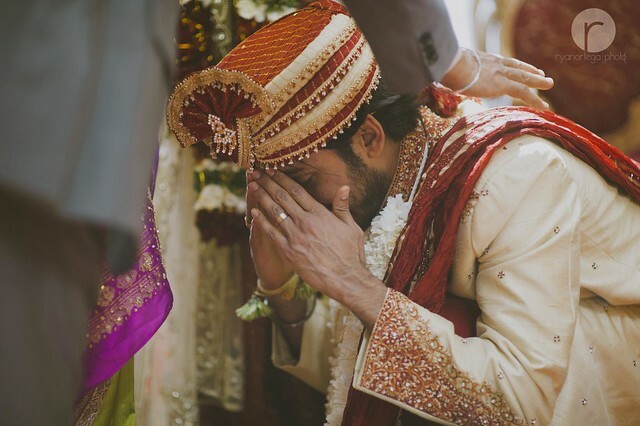 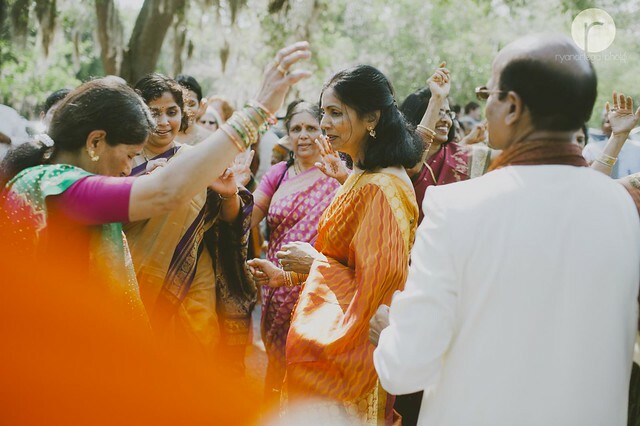 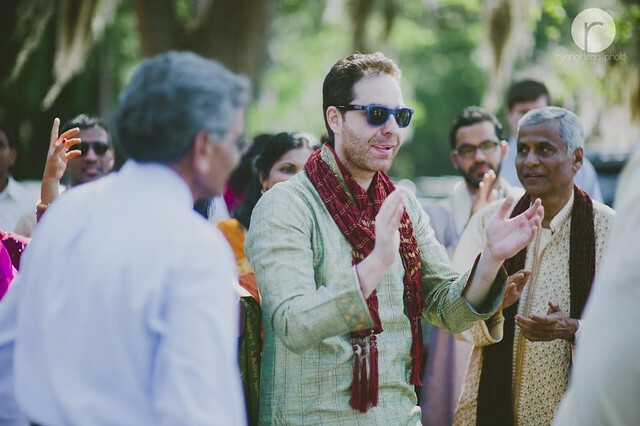 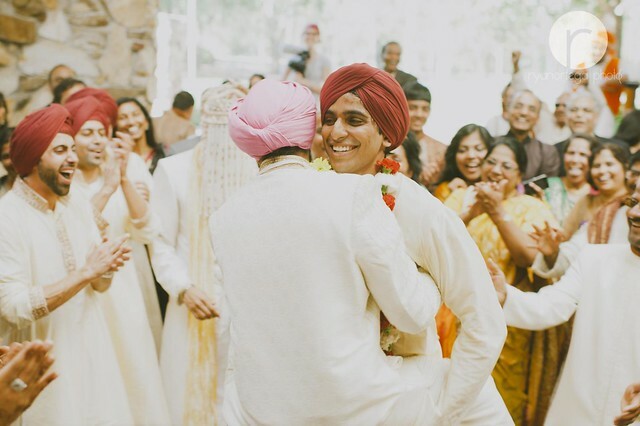 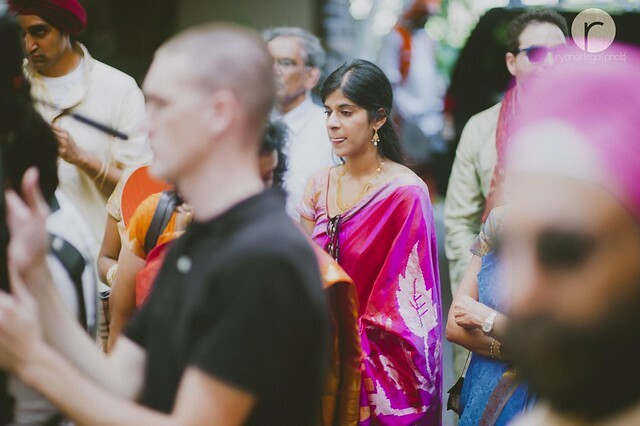 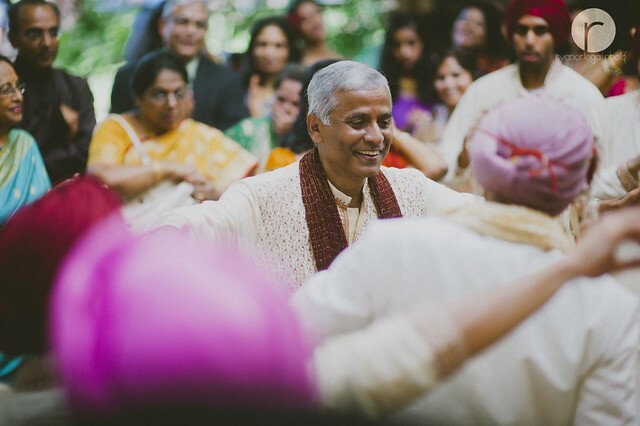 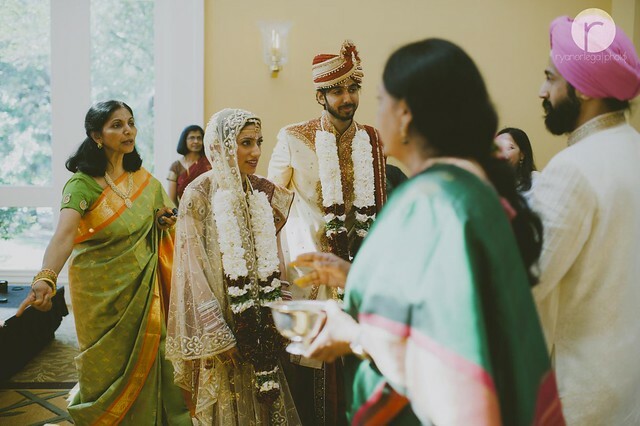 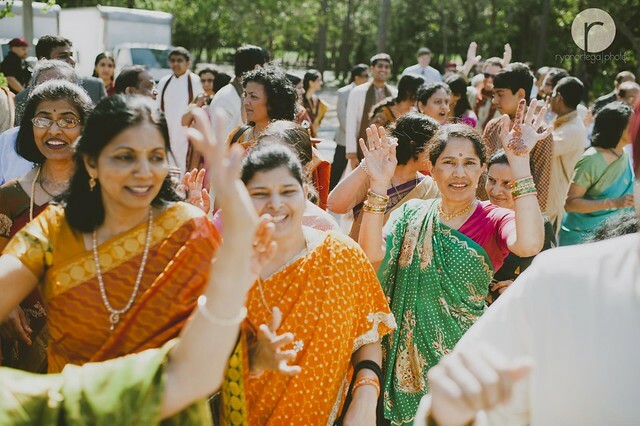 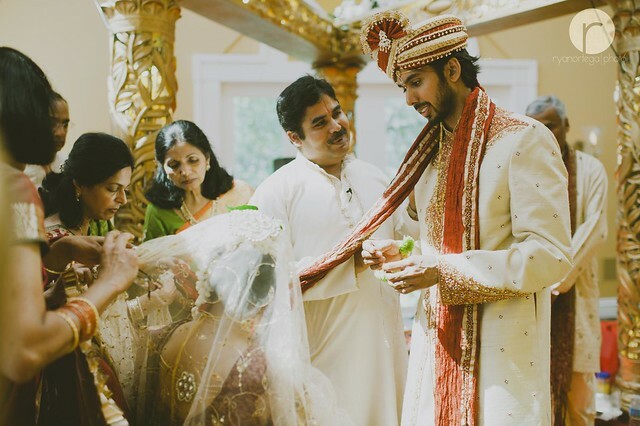 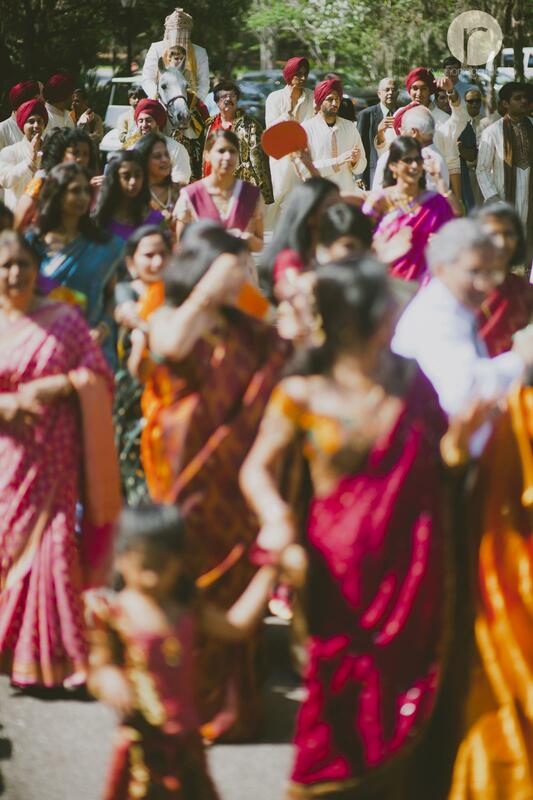 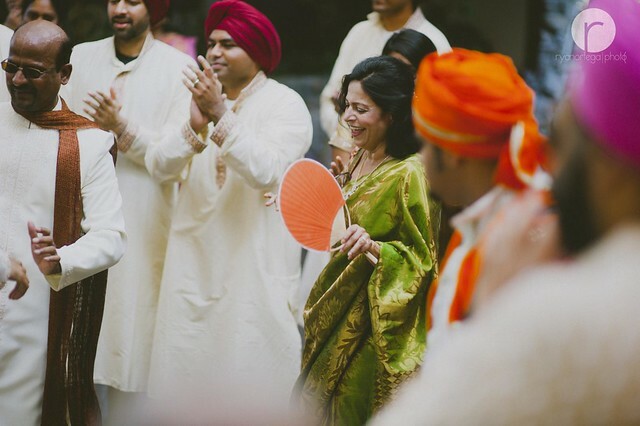 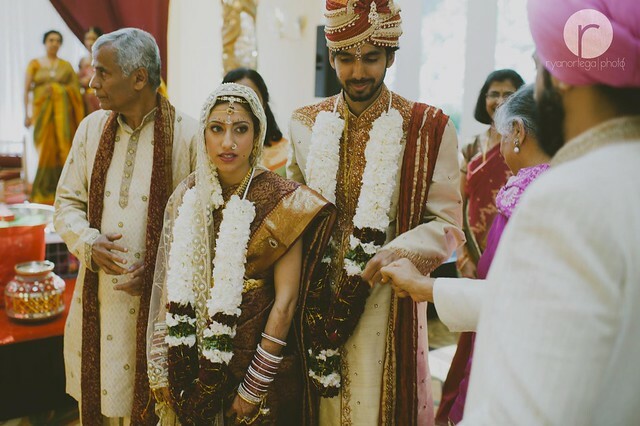 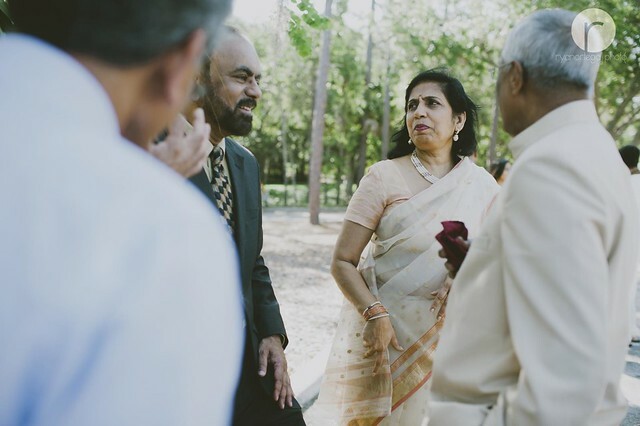 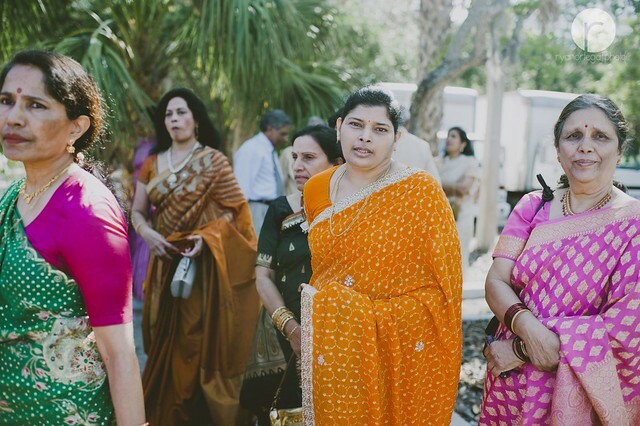 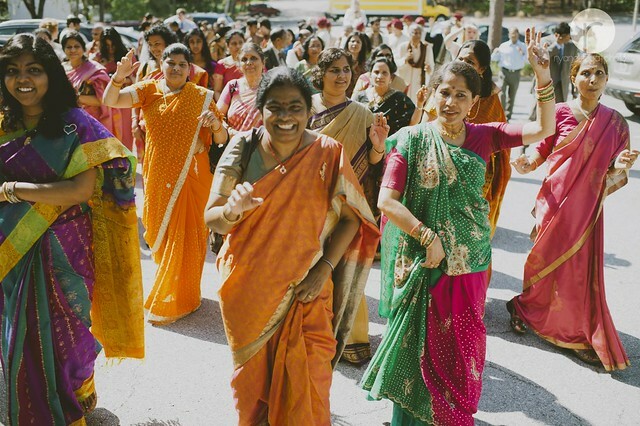 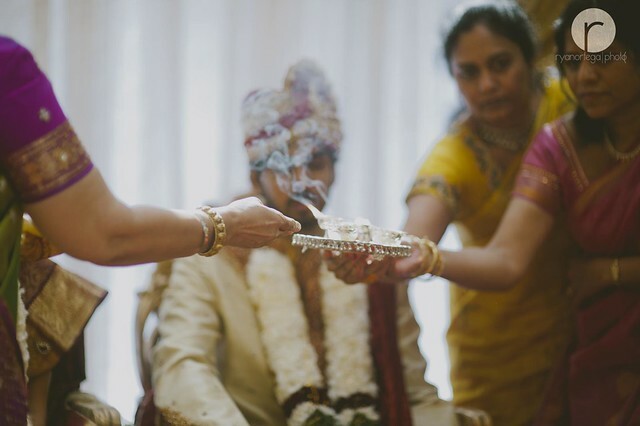 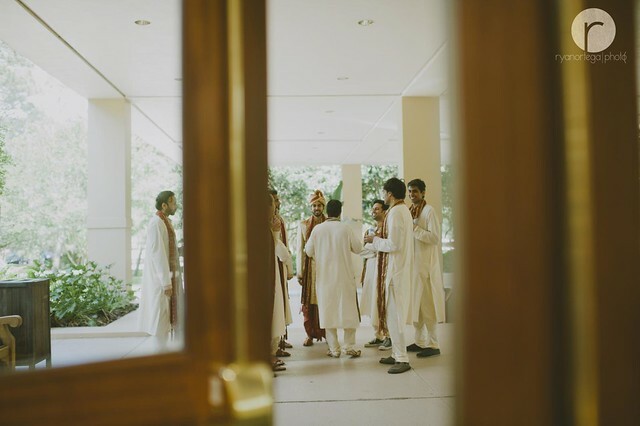 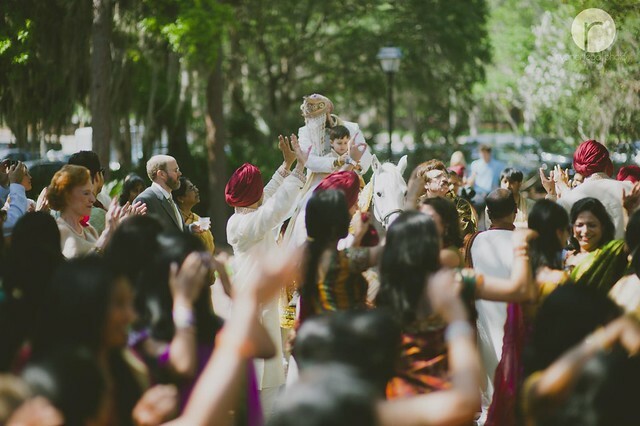 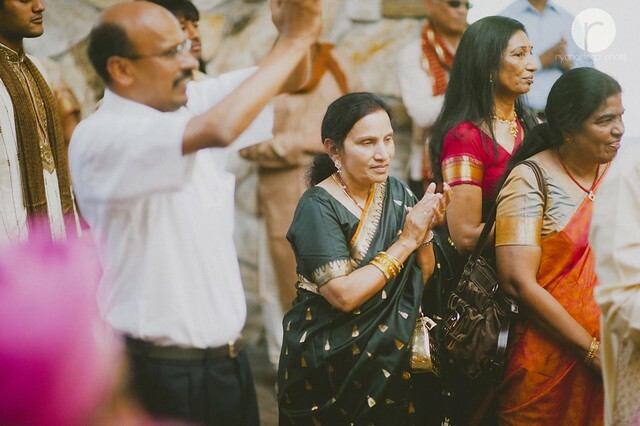 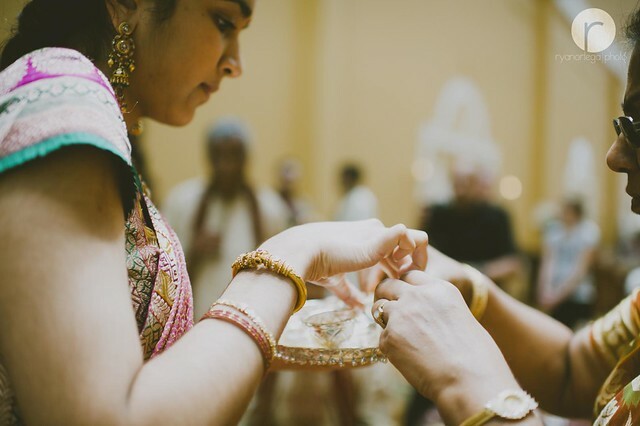 The traditional Indian wedding is about two families being brought together socially, with as much emphasis placed on the families concerned coming closer as the individuals involved. 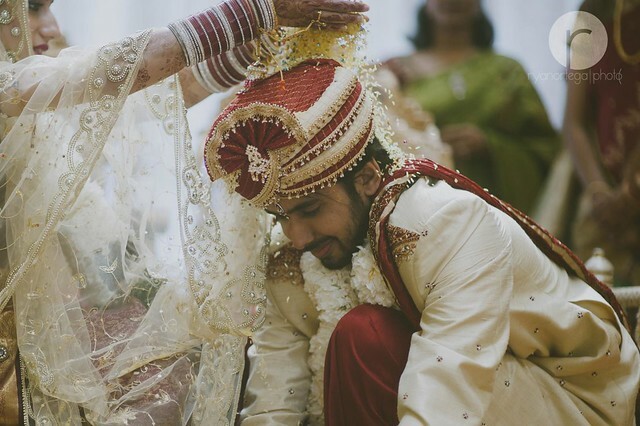 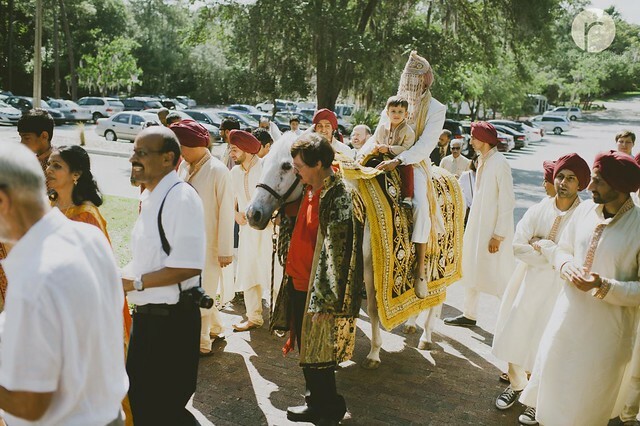 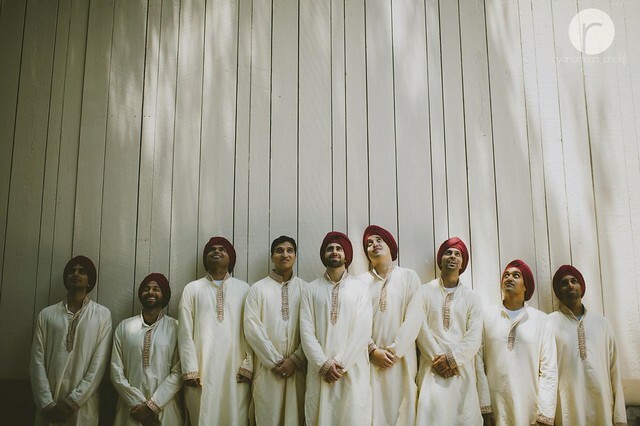 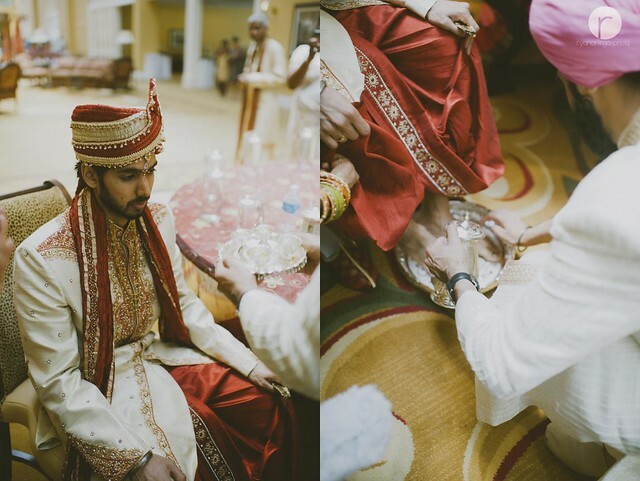 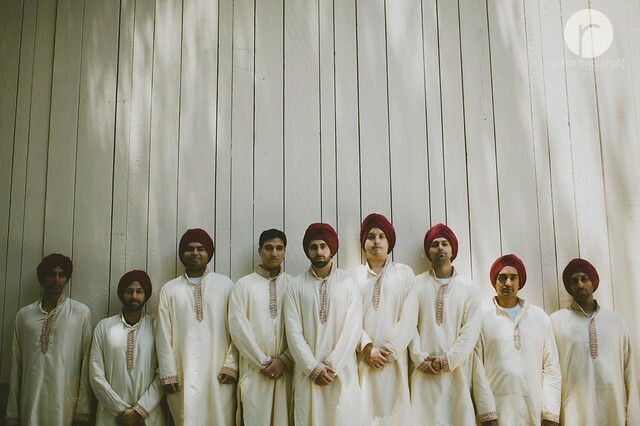 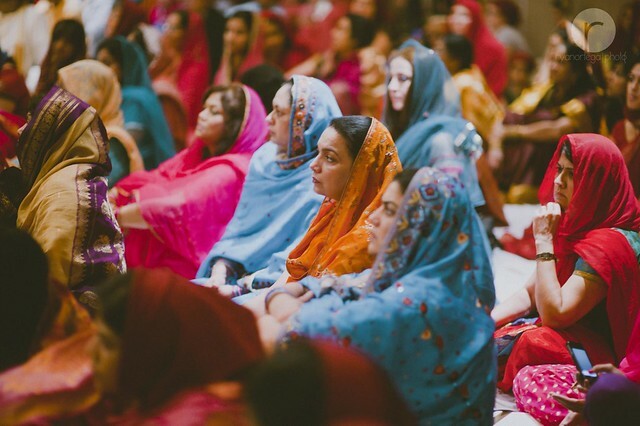 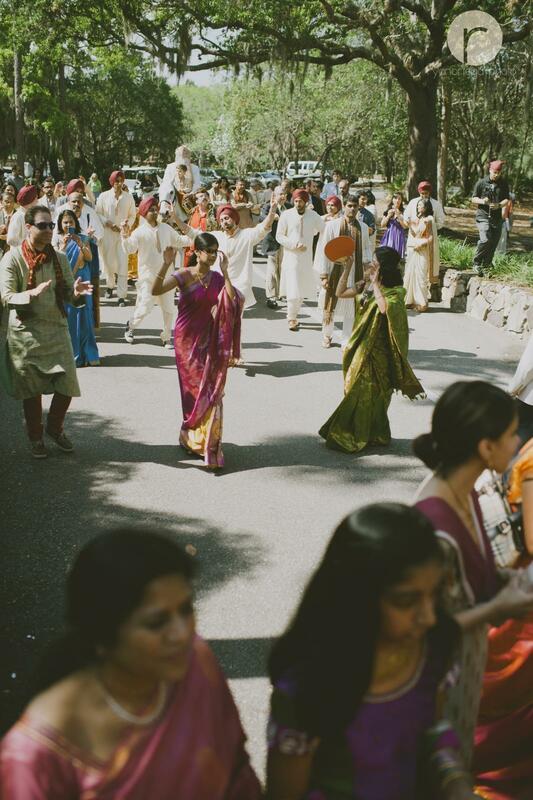 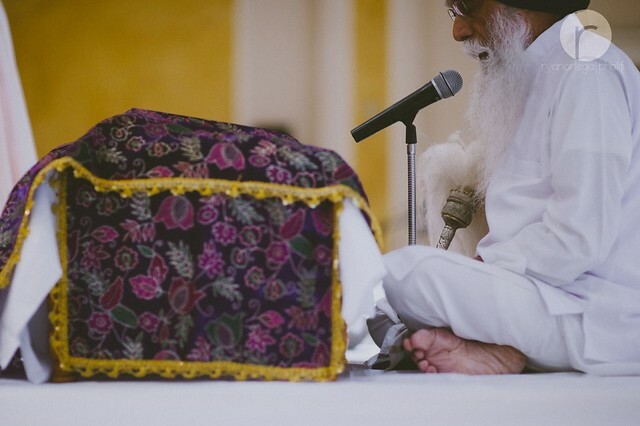 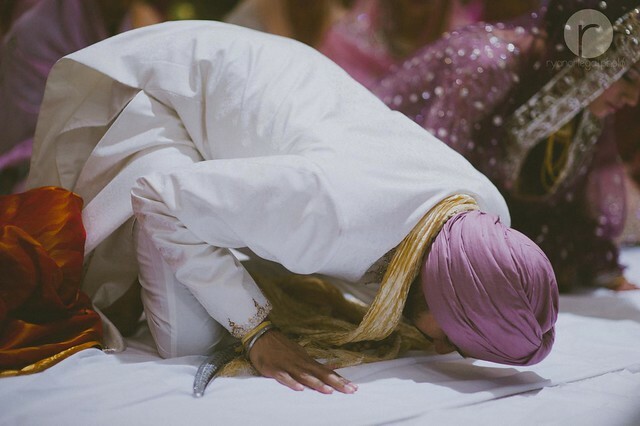 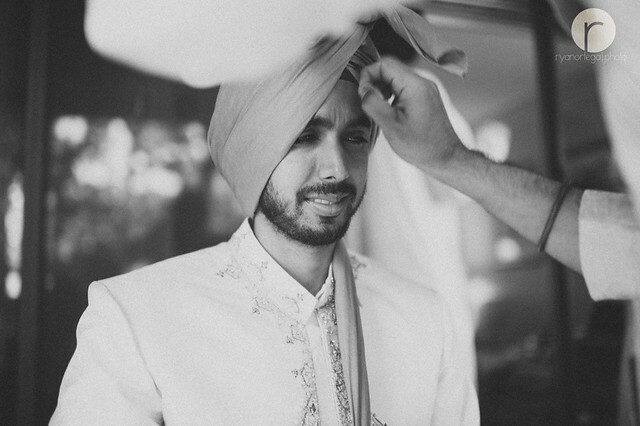 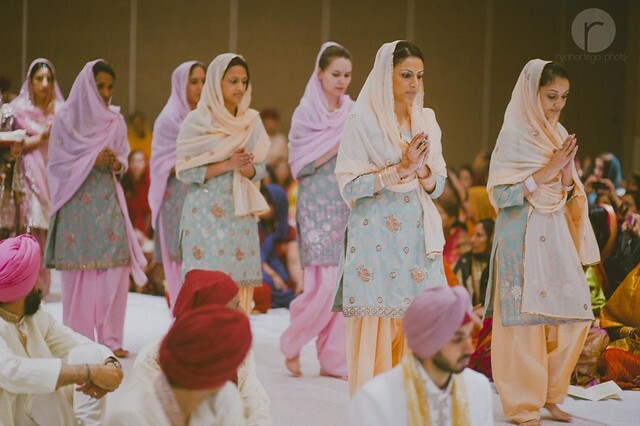 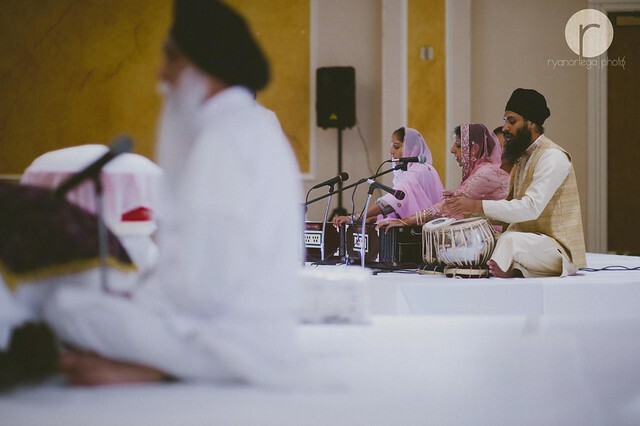 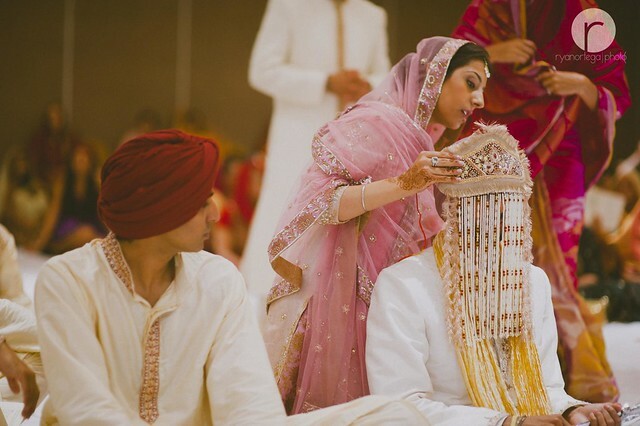 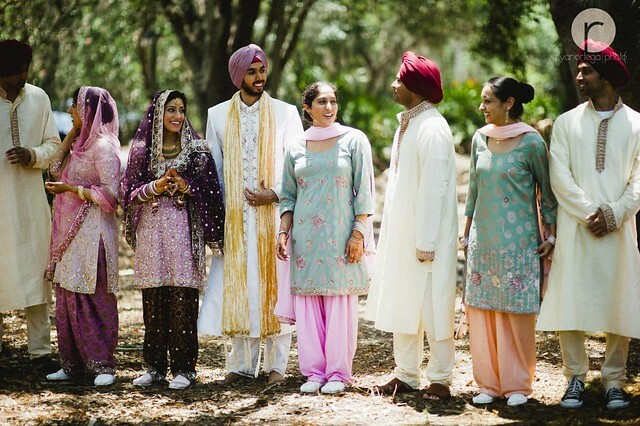 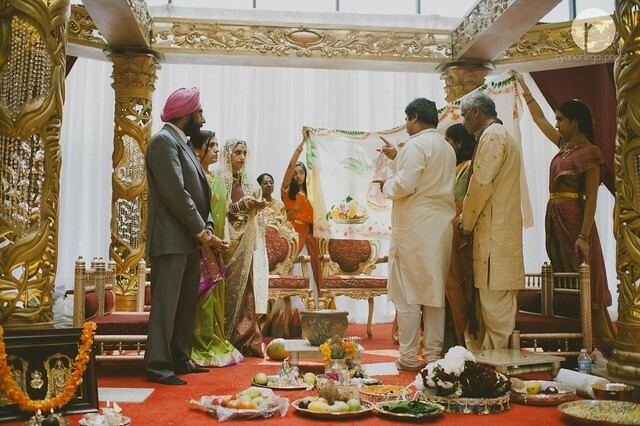 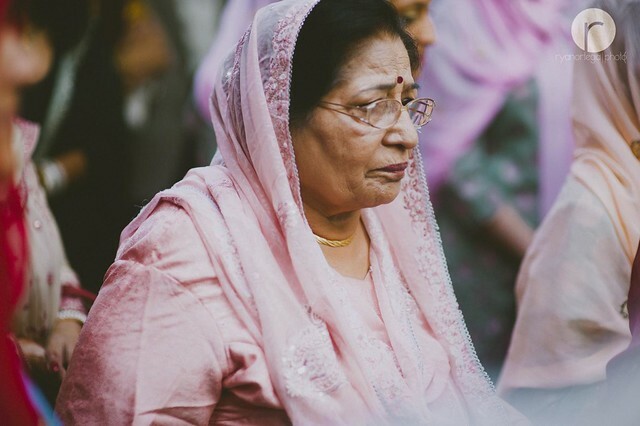 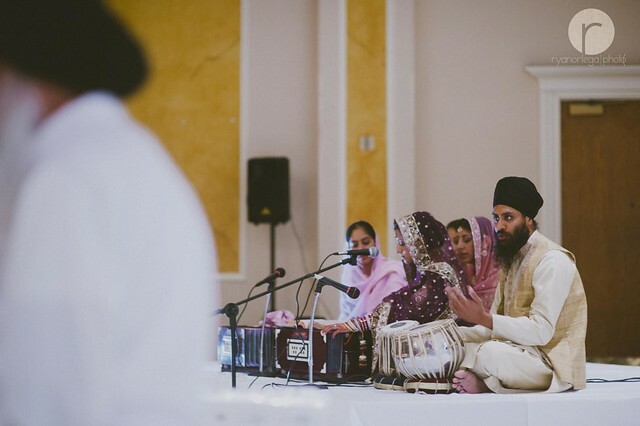 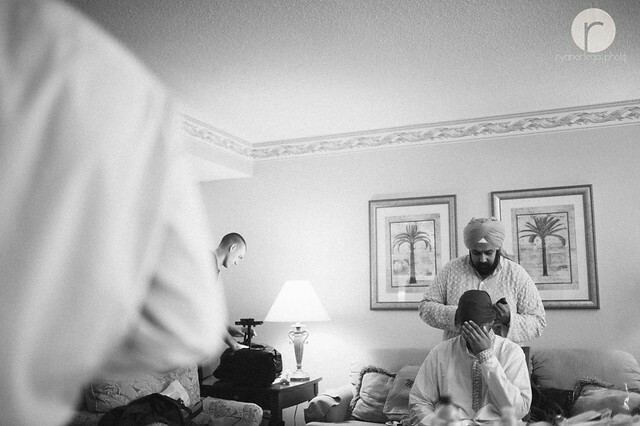 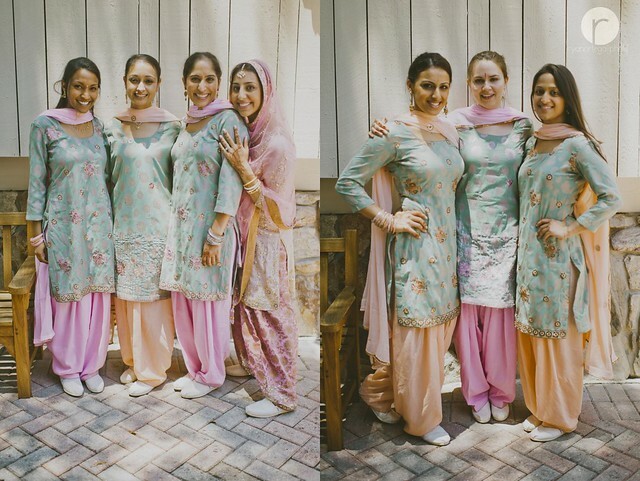 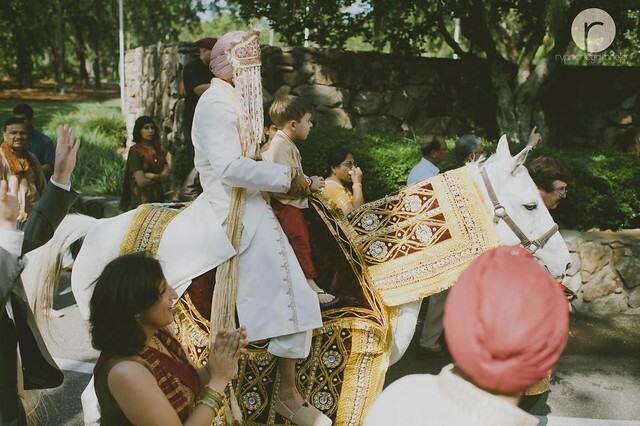 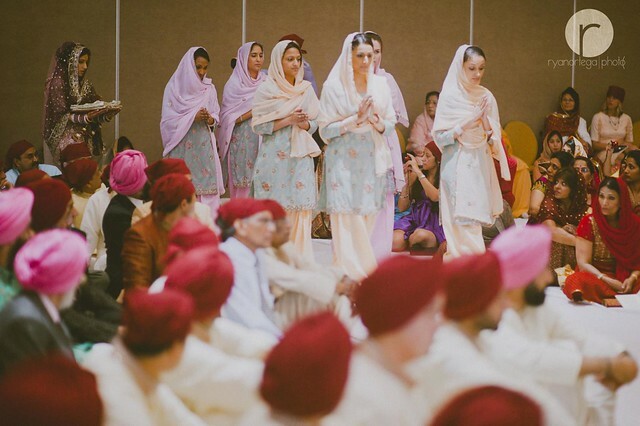 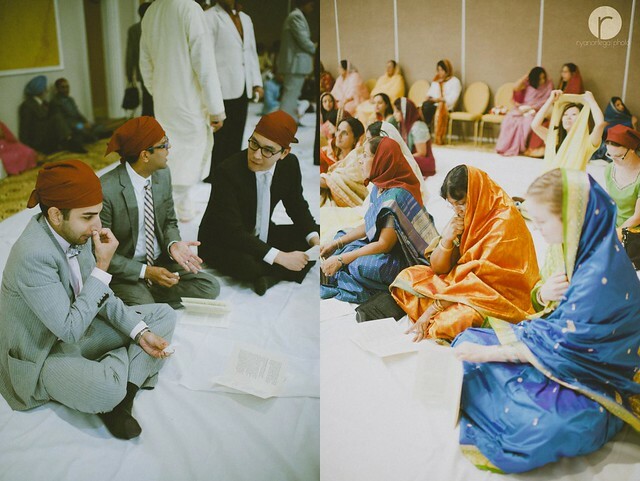 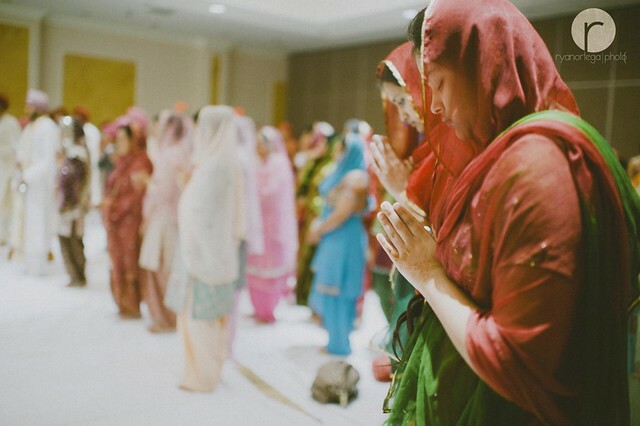 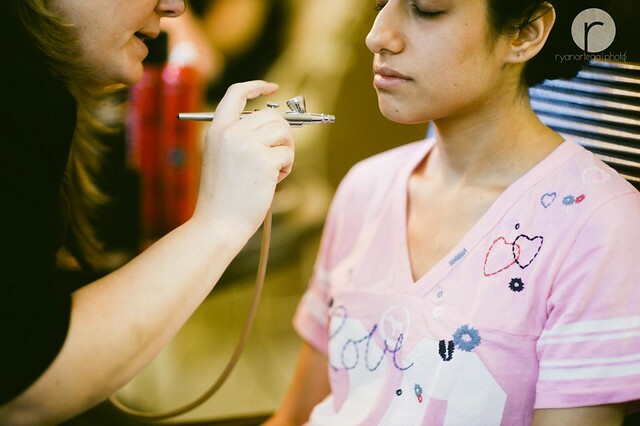 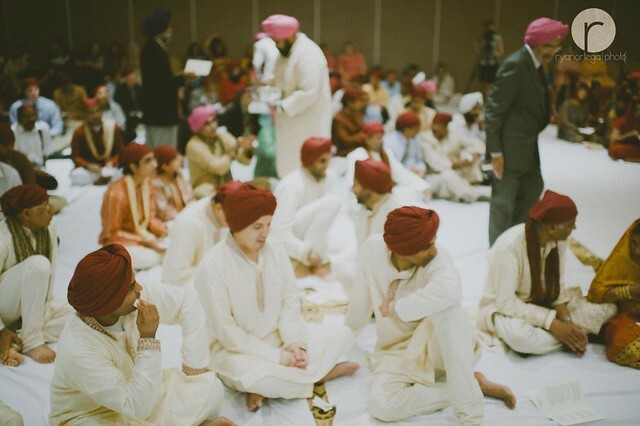 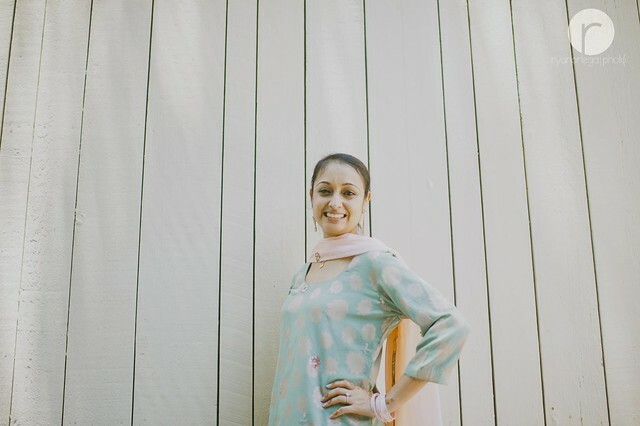 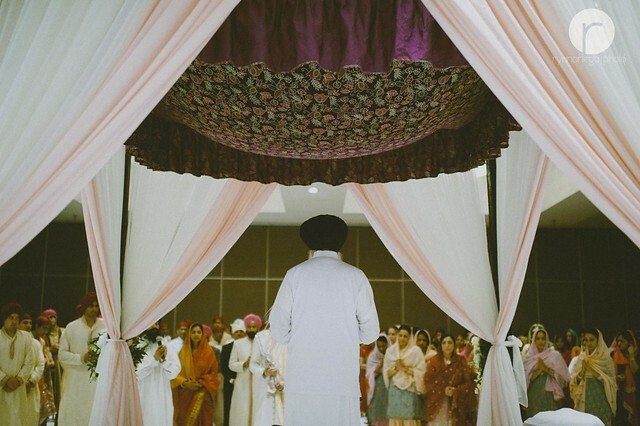 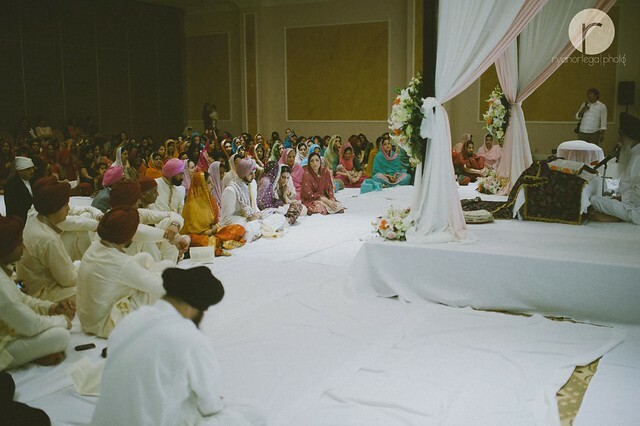 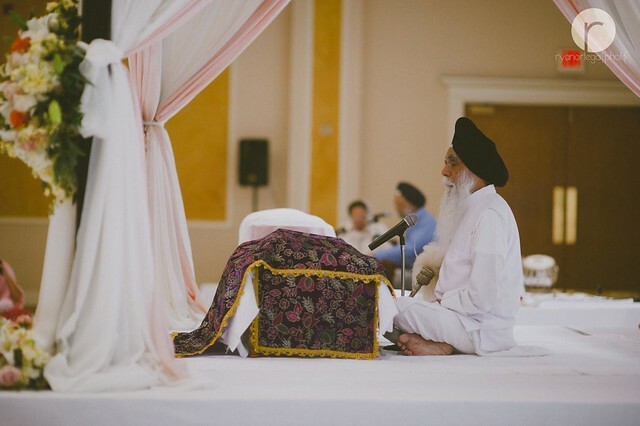 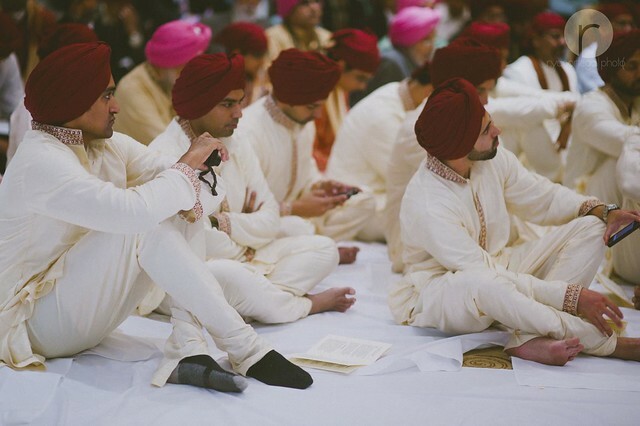 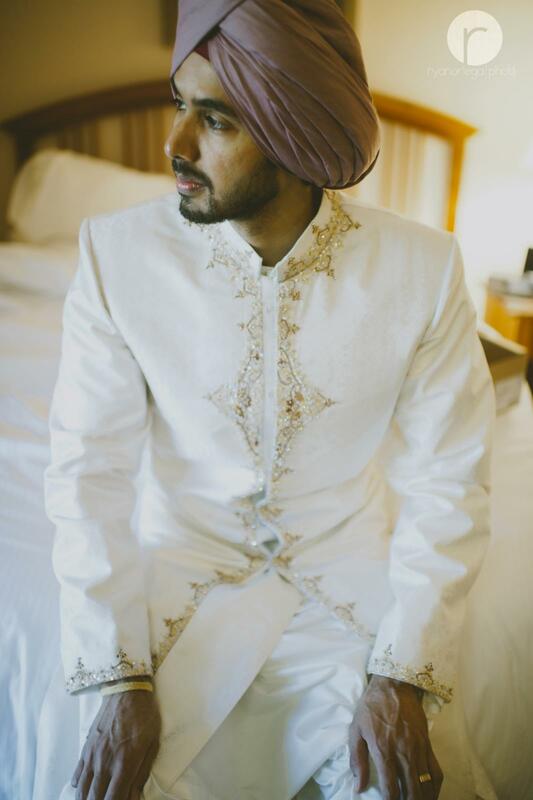 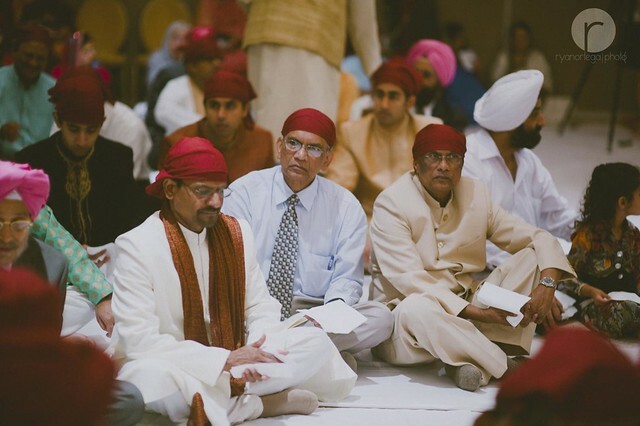 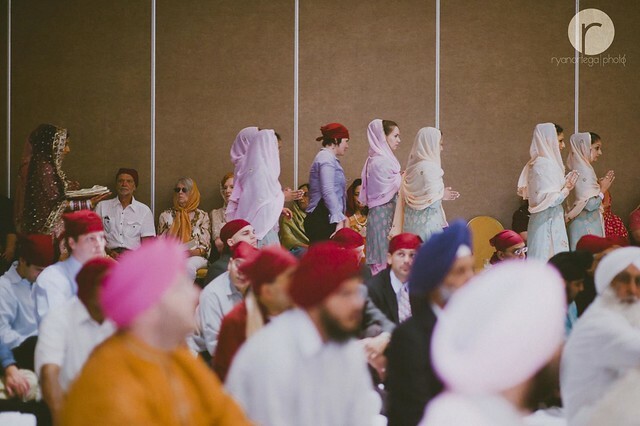 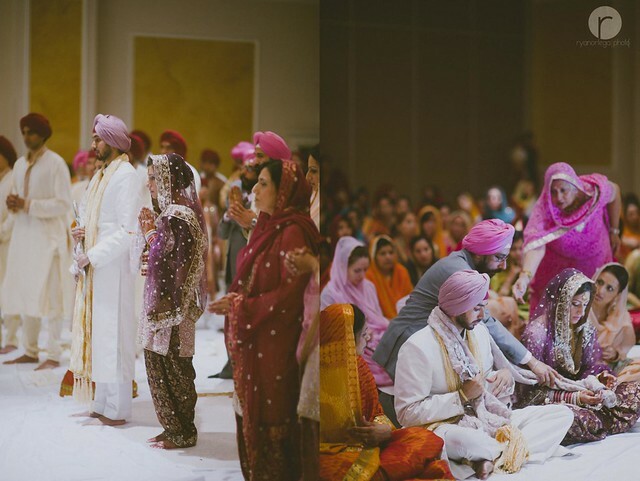 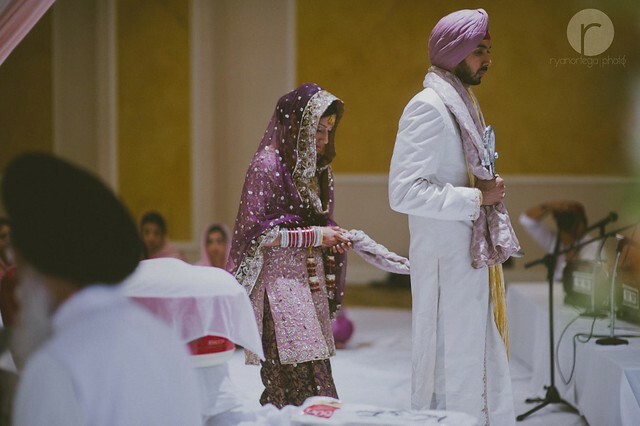 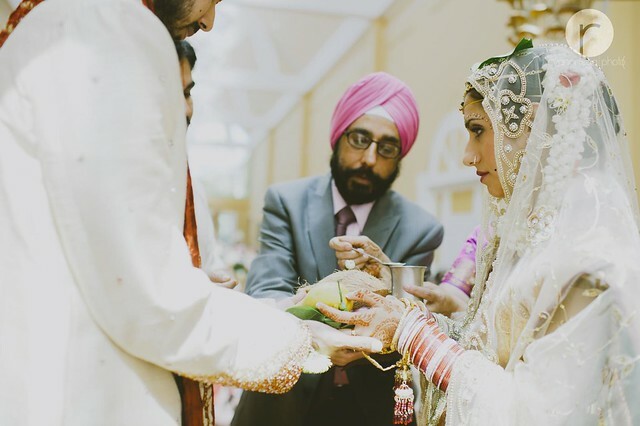 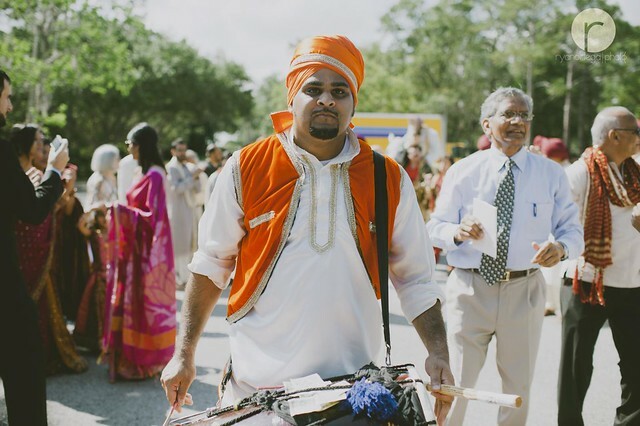 Many of the wedding customs are common among Hindus, Jains, Sikhs, and even Muslims. 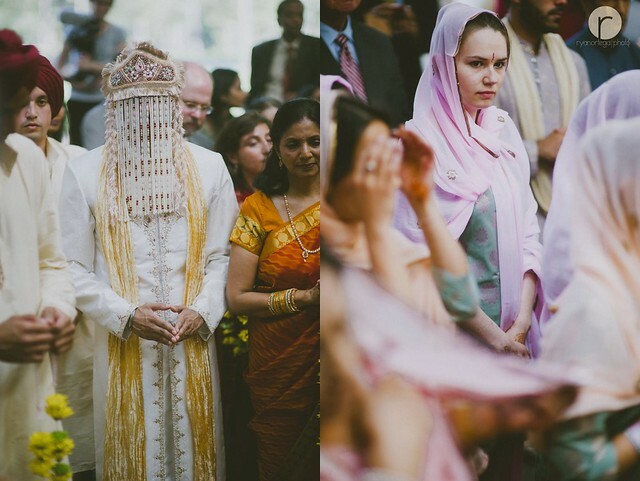 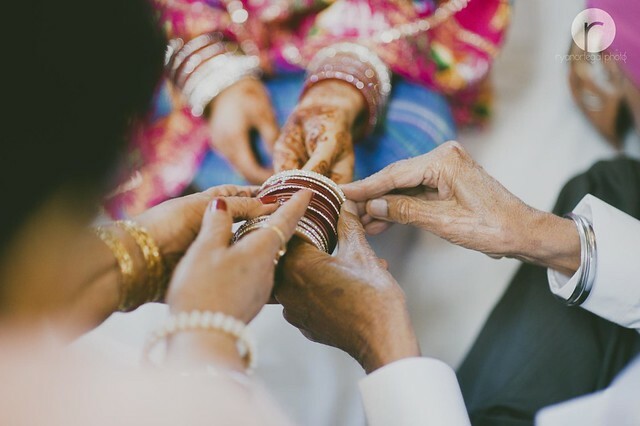 They are a combination of local, religious, and family traditions.The period of Hindu marriage ceremonies dates from the presenting tilak, and is called lagan/[shaadi]. 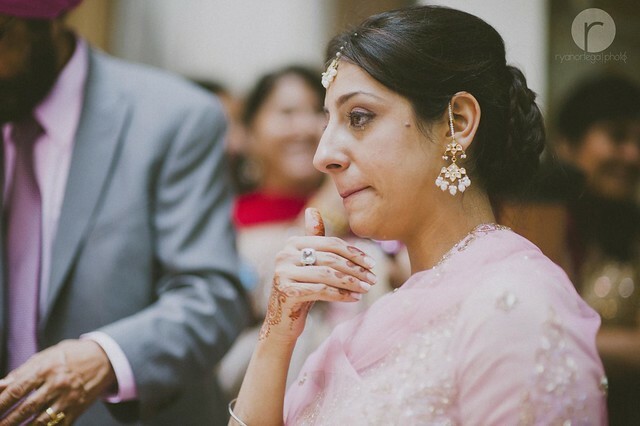 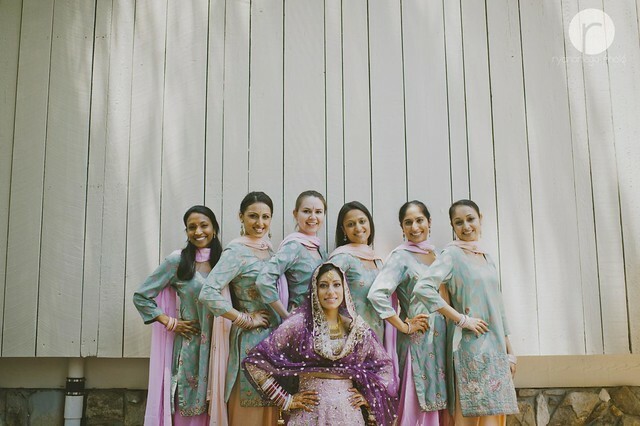 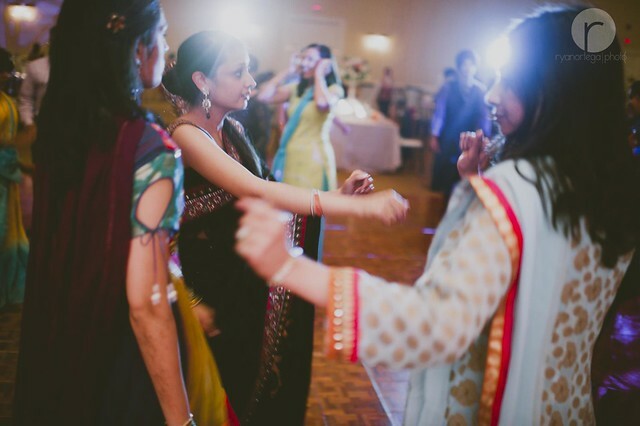 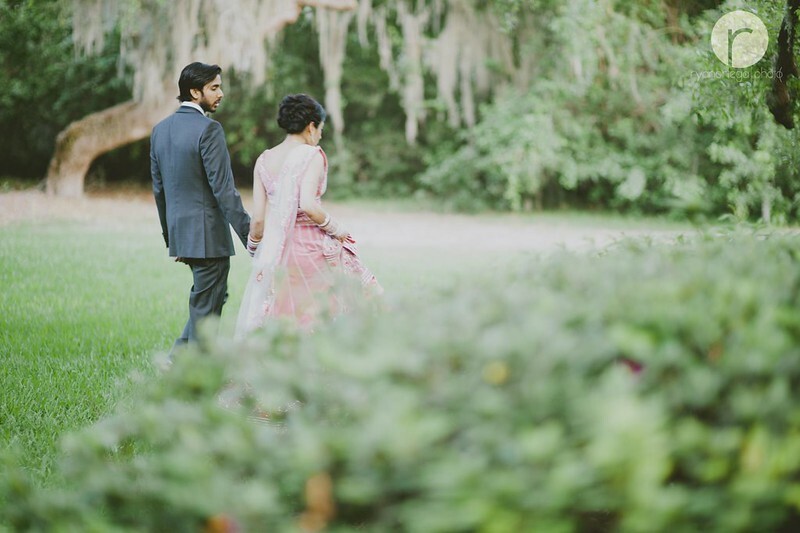 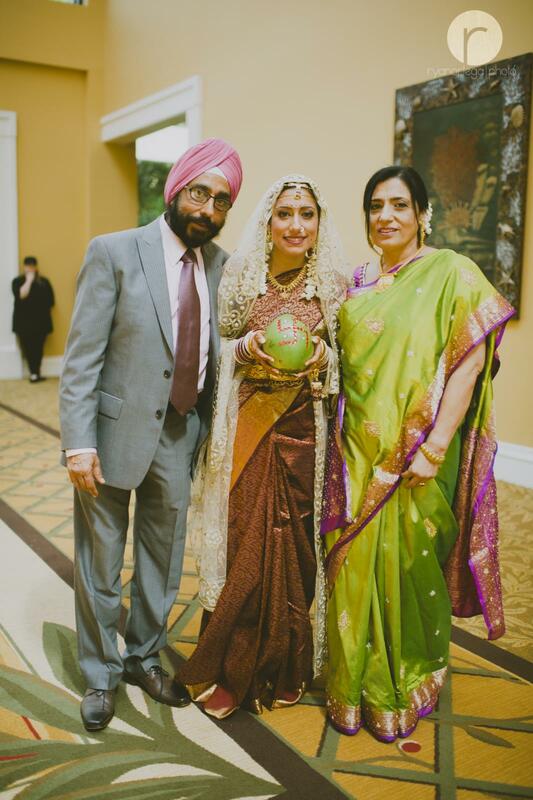 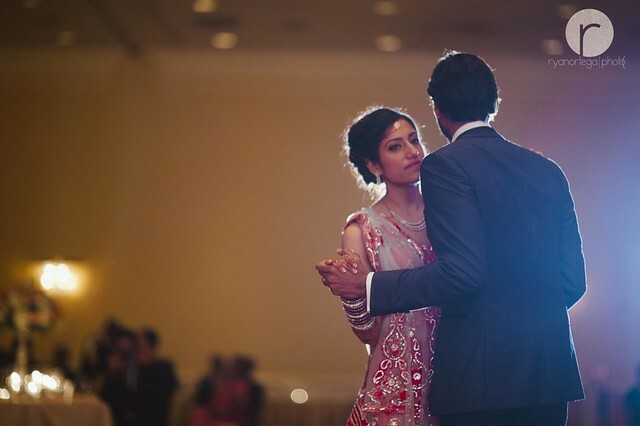 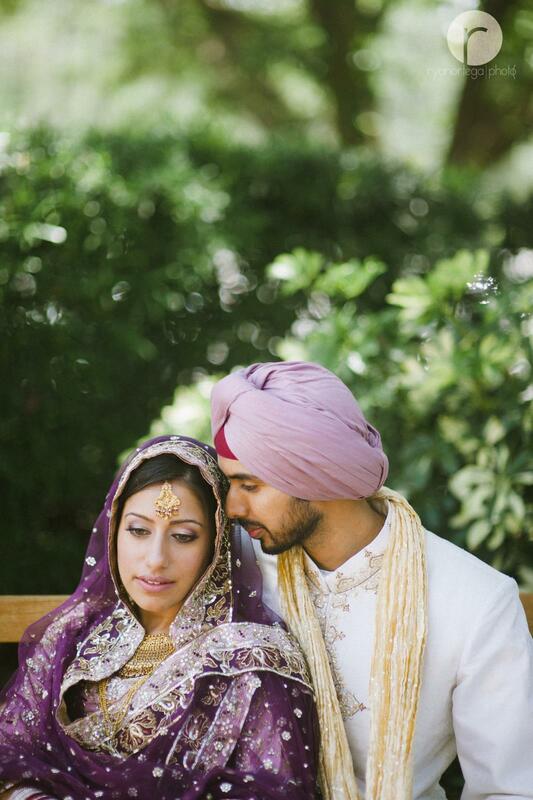 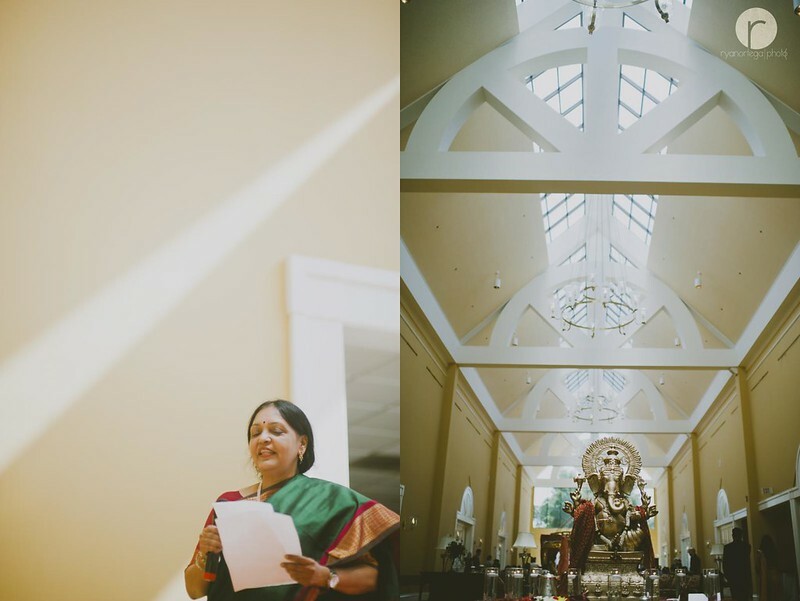 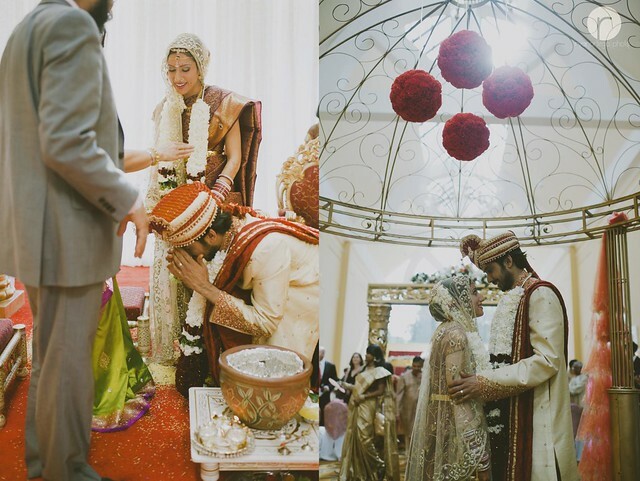 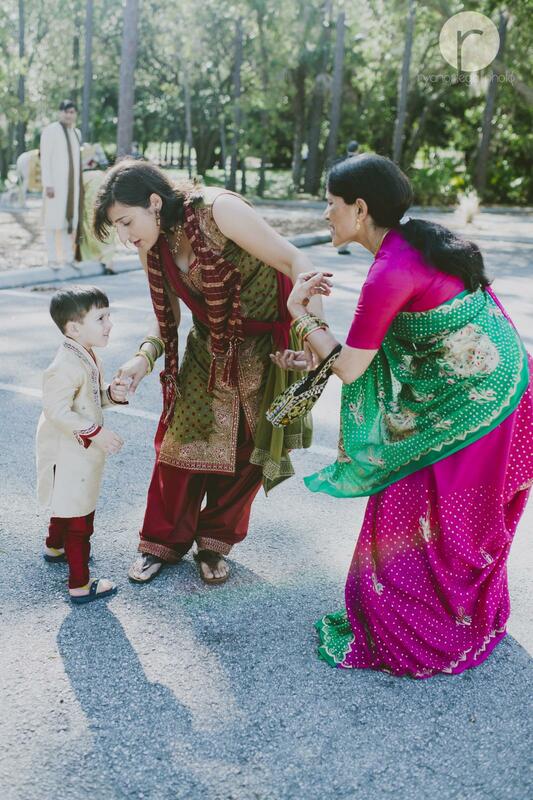 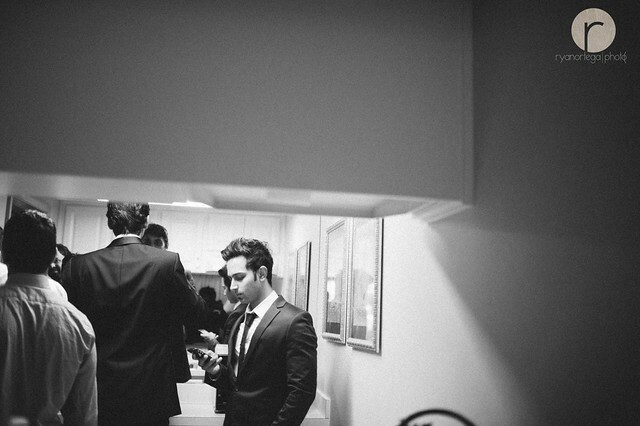 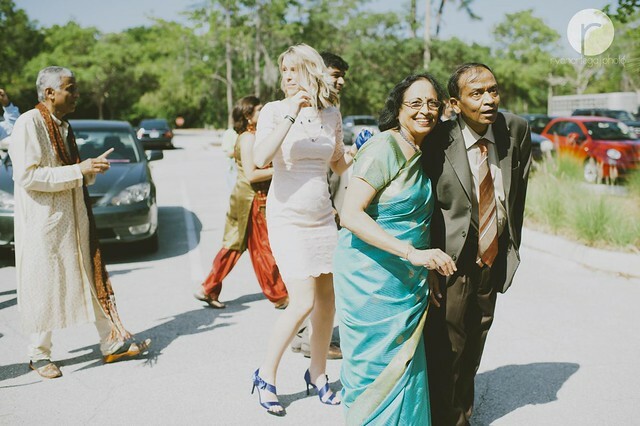 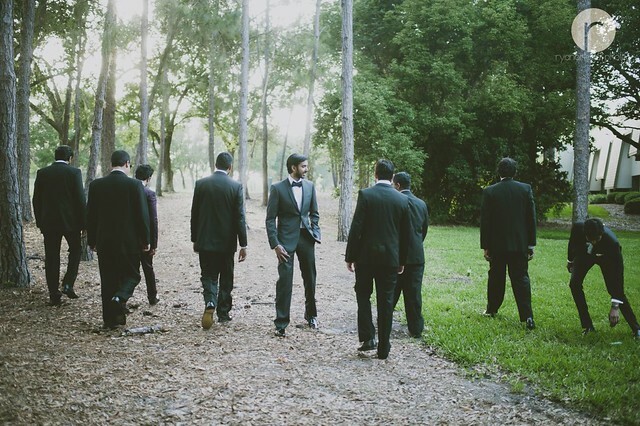 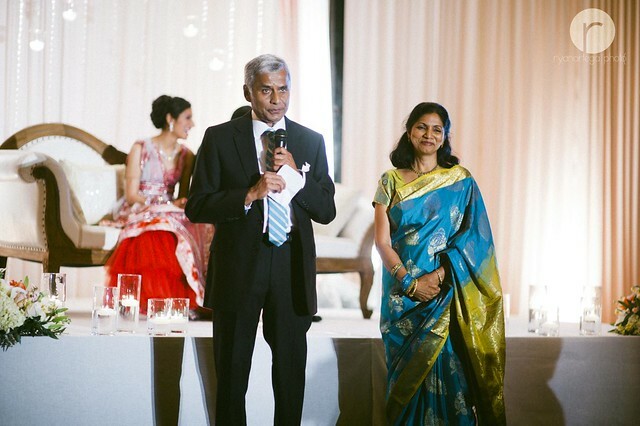 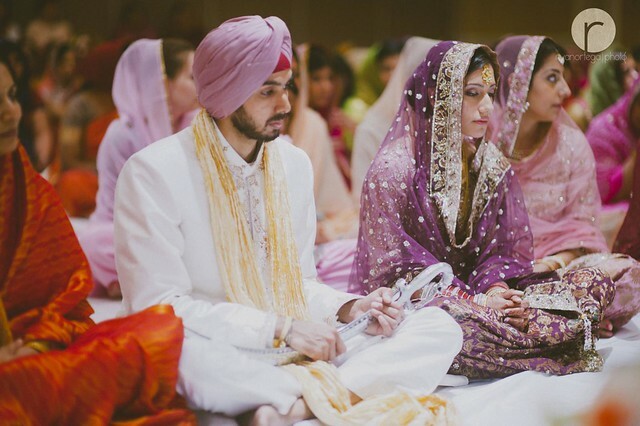 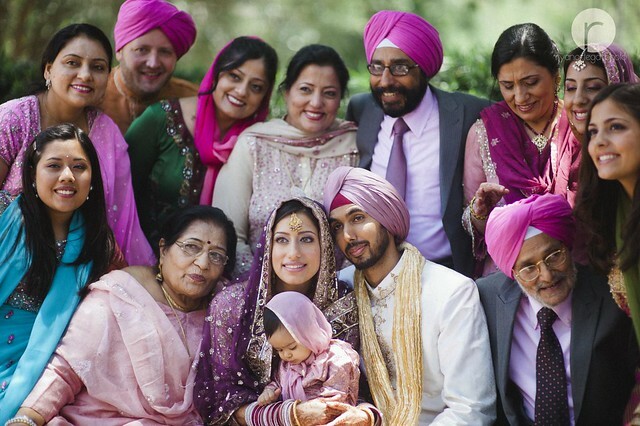 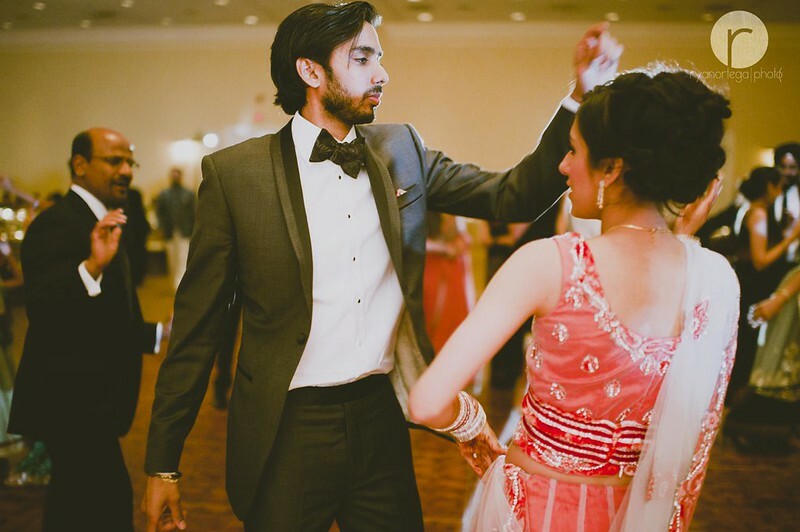 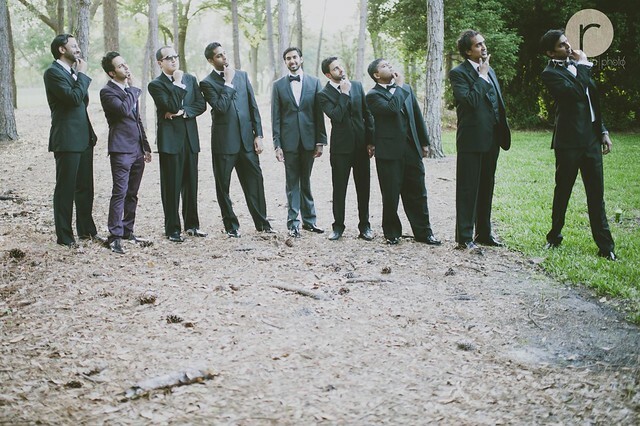 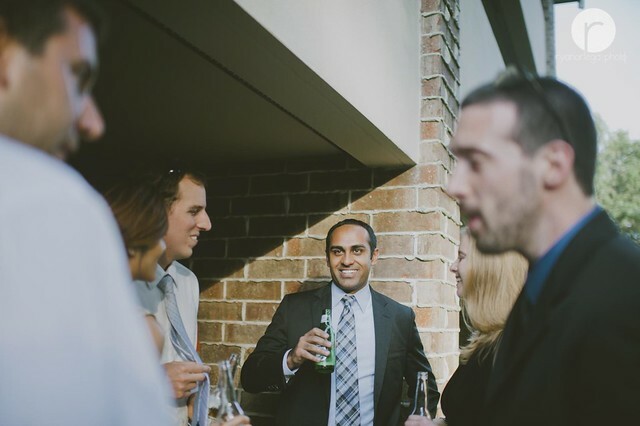 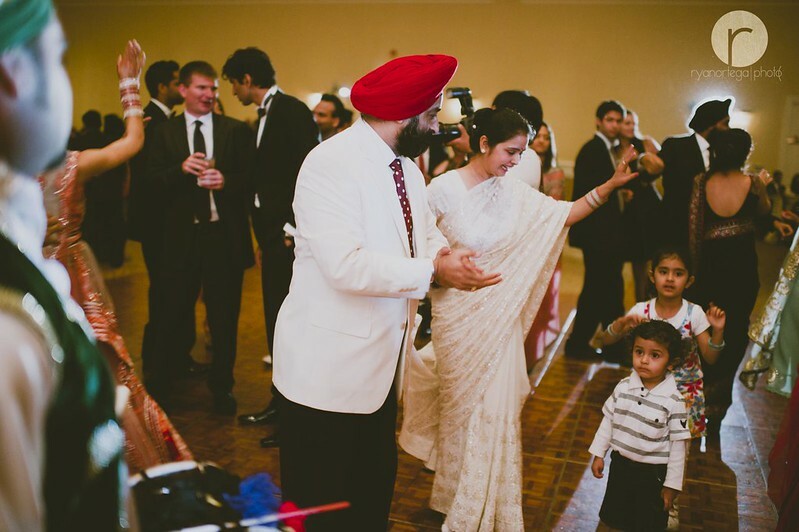 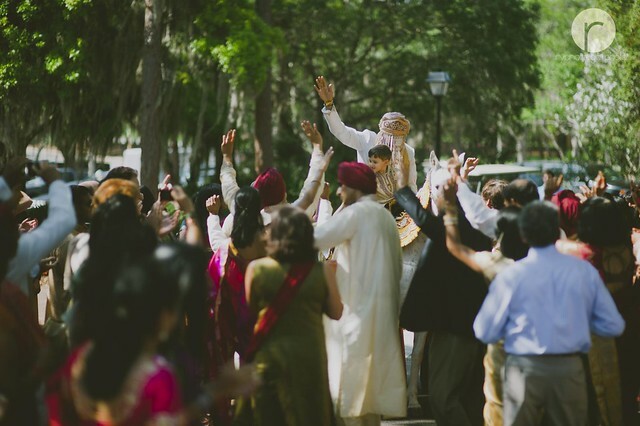 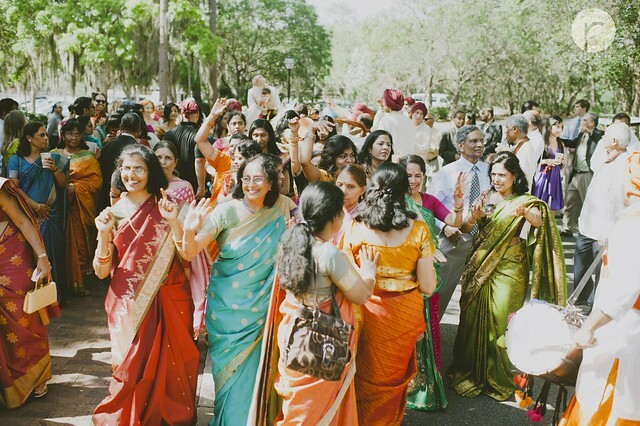 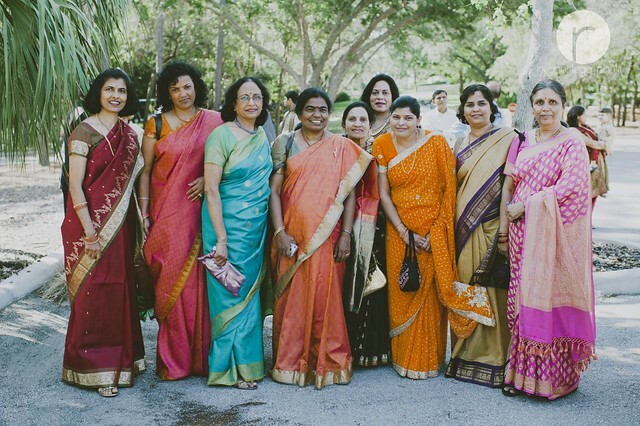 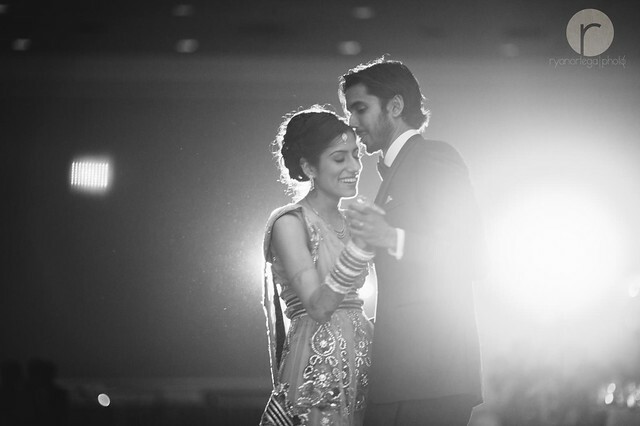 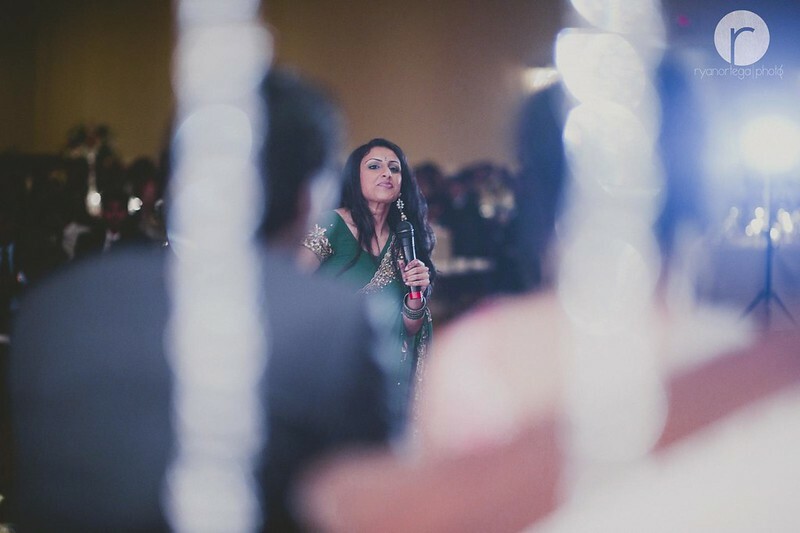 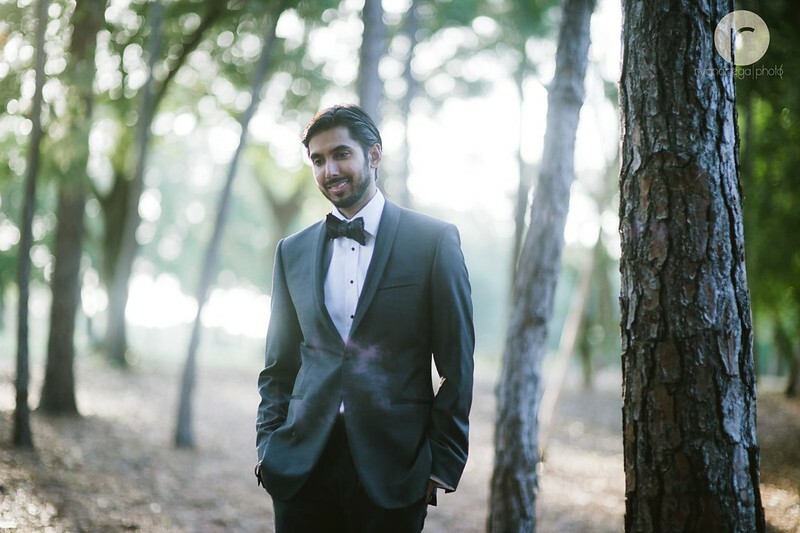 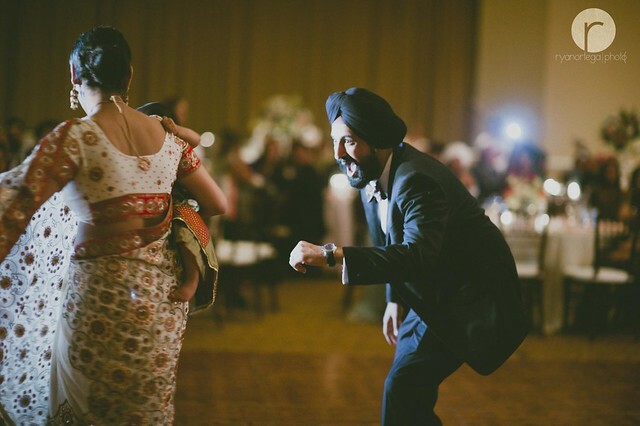 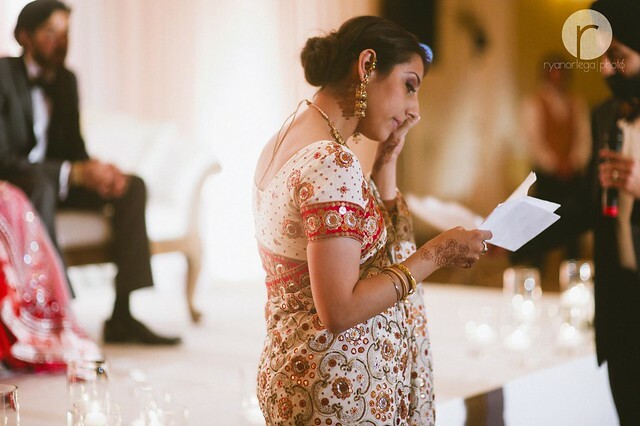 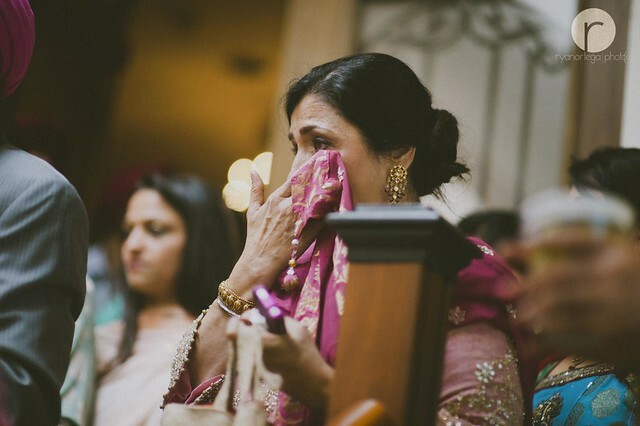 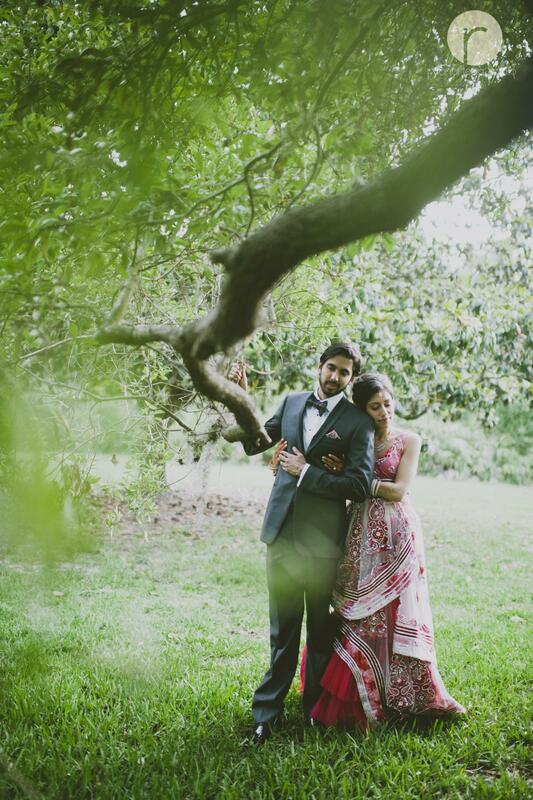 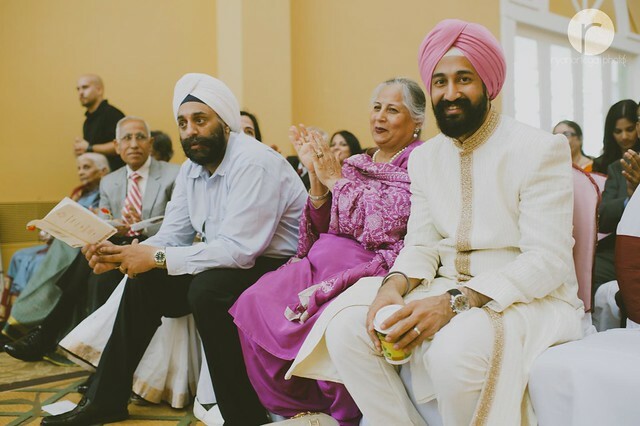 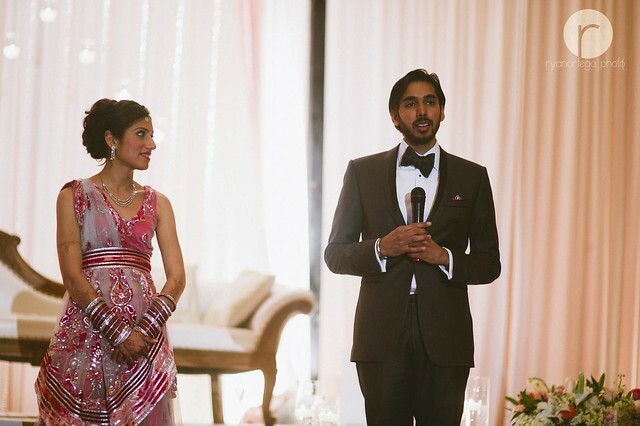 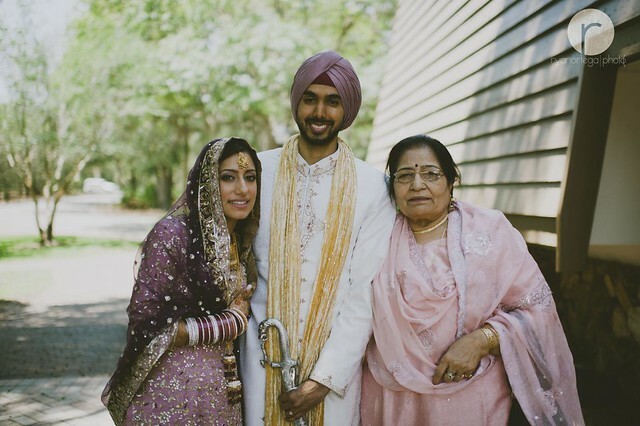 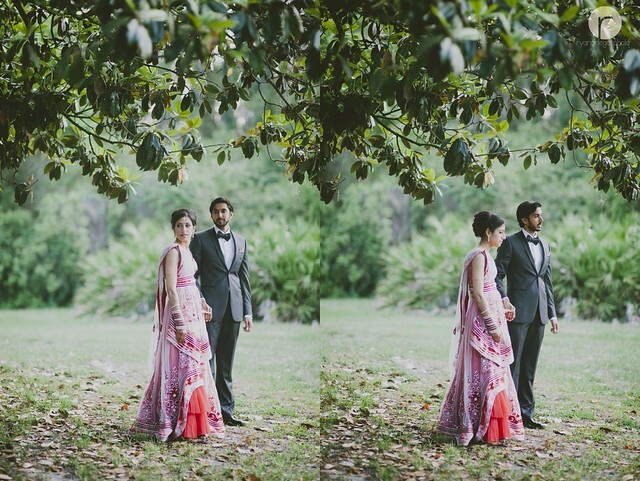 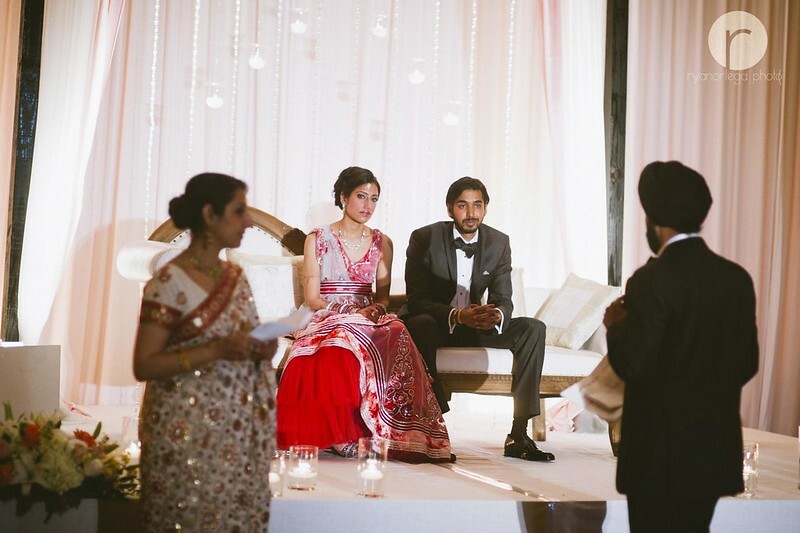 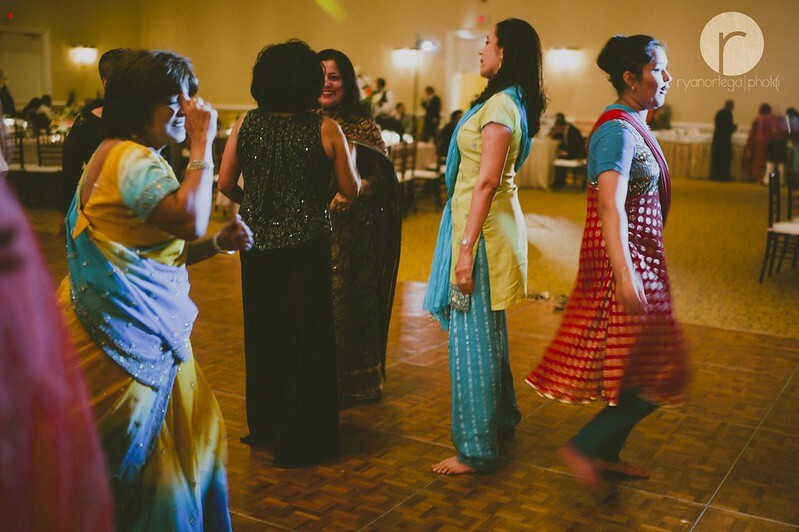 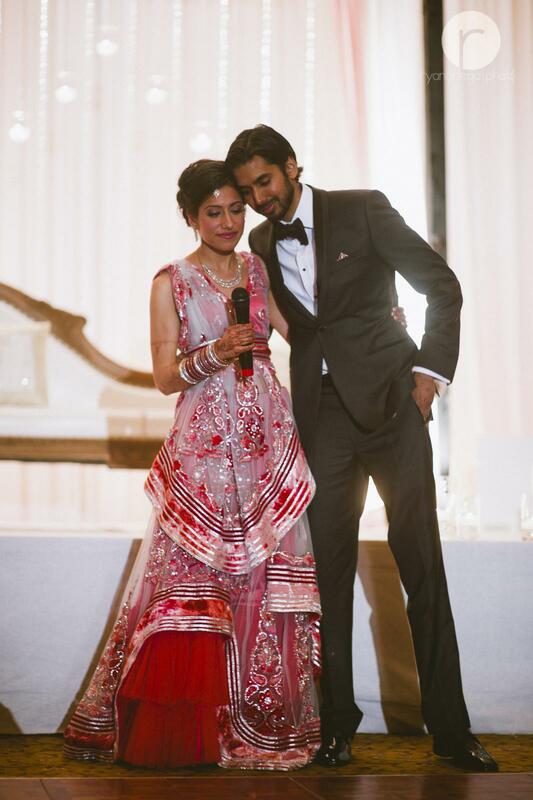 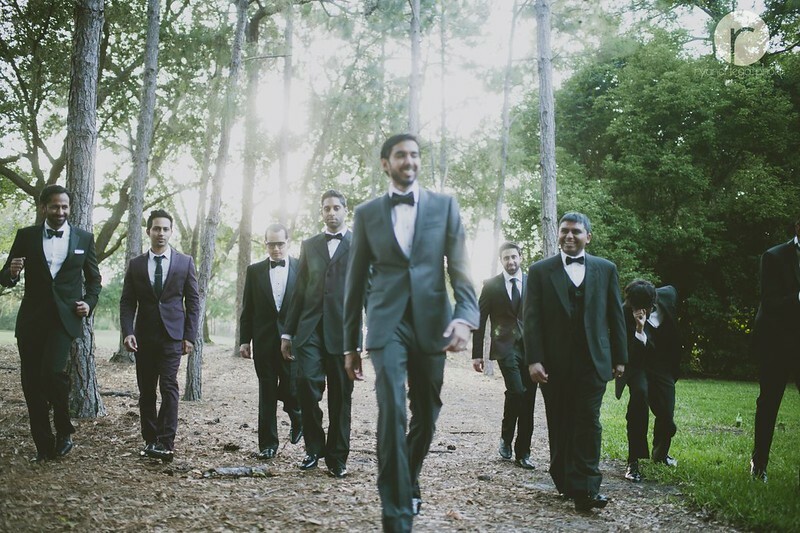 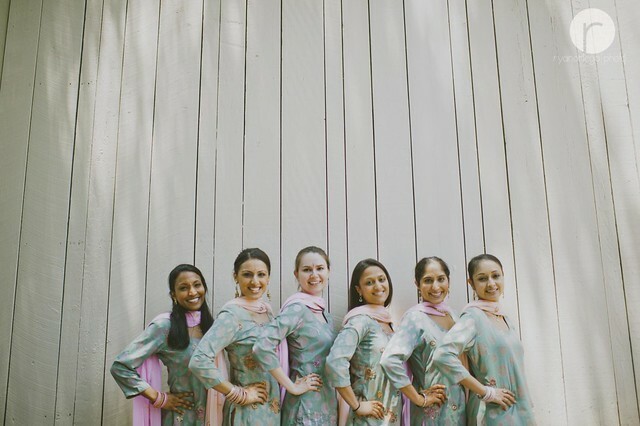 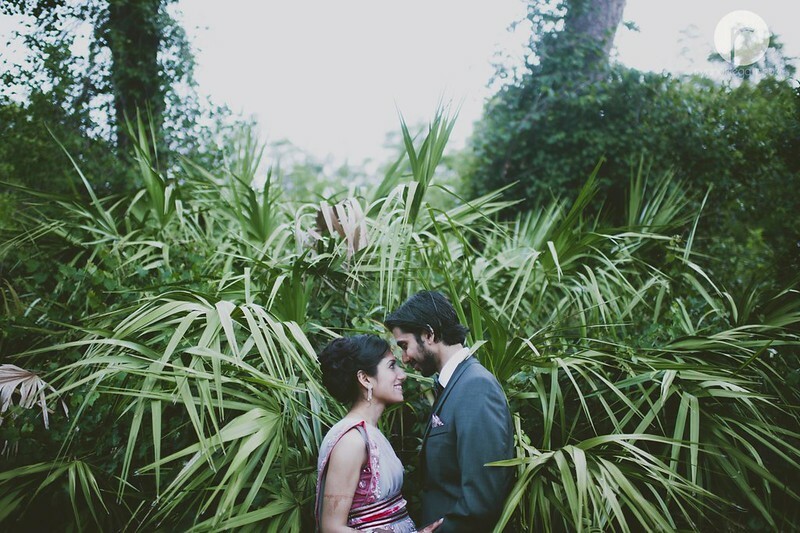 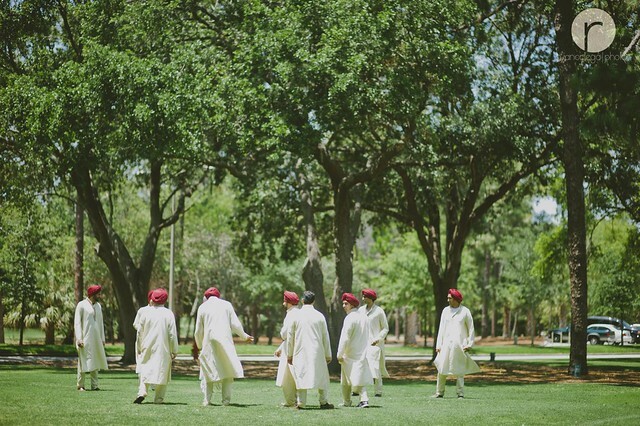 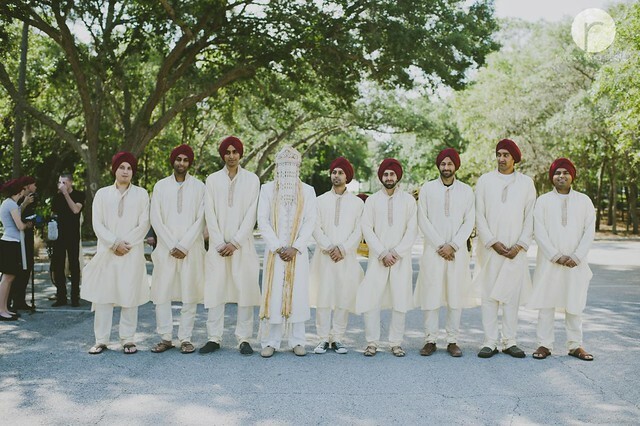 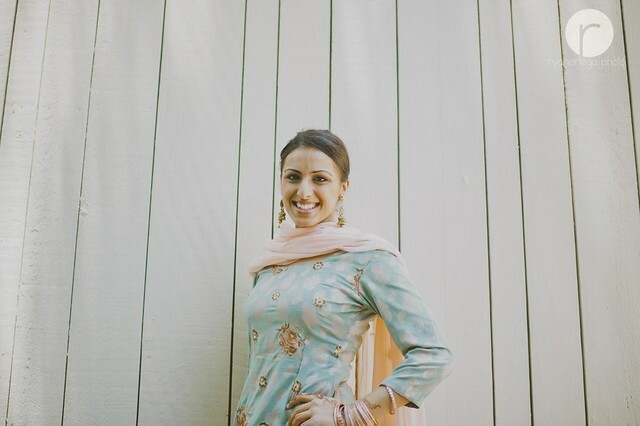 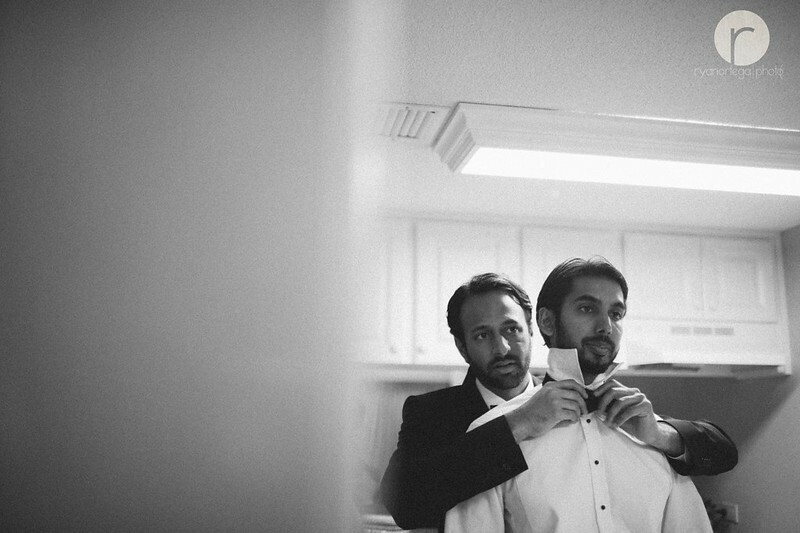 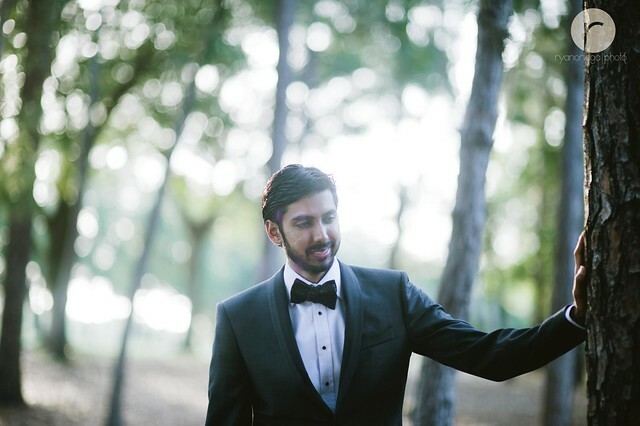 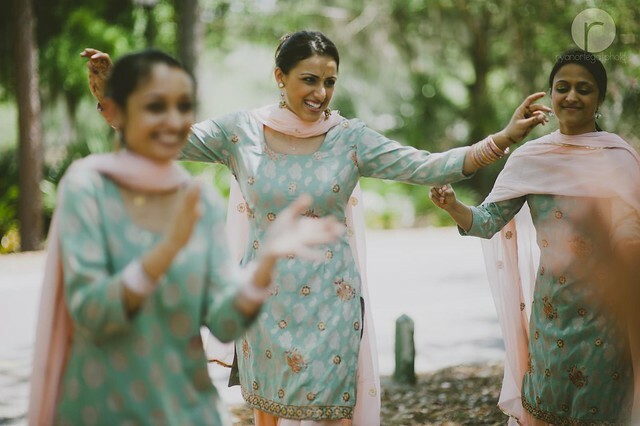 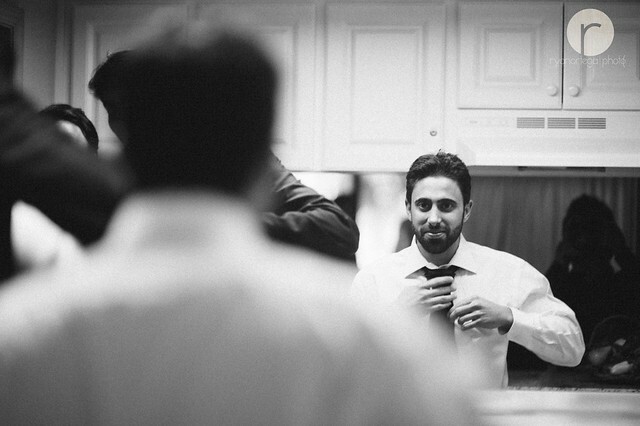 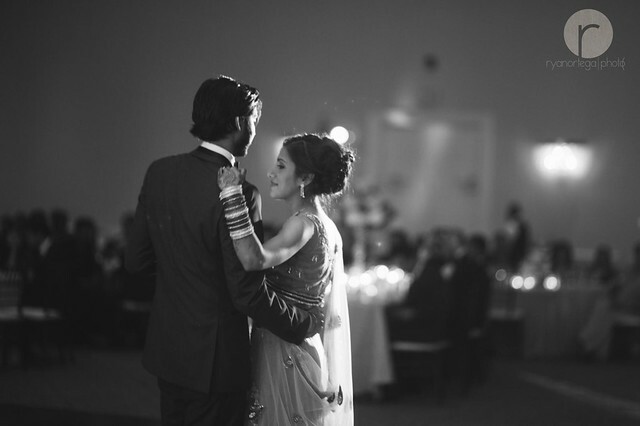 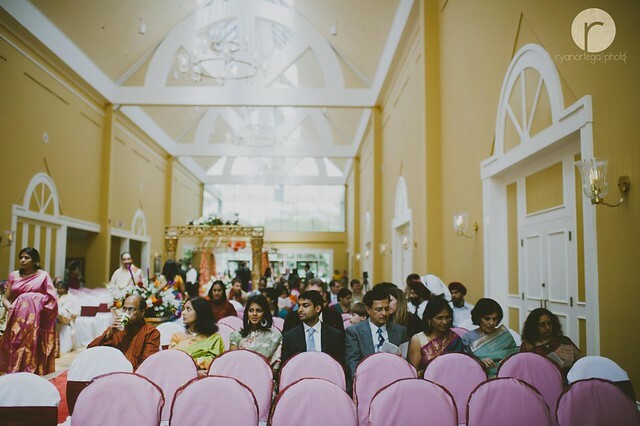 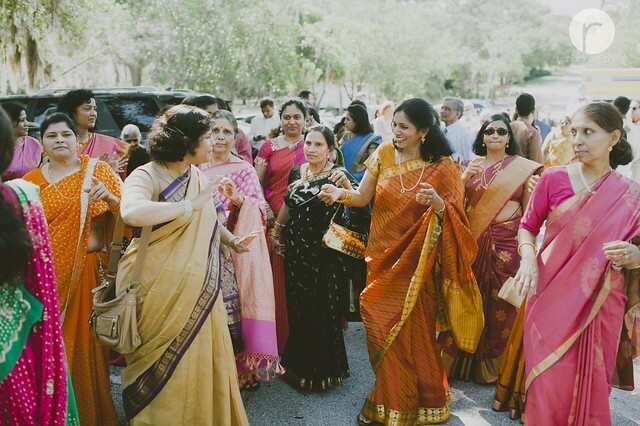 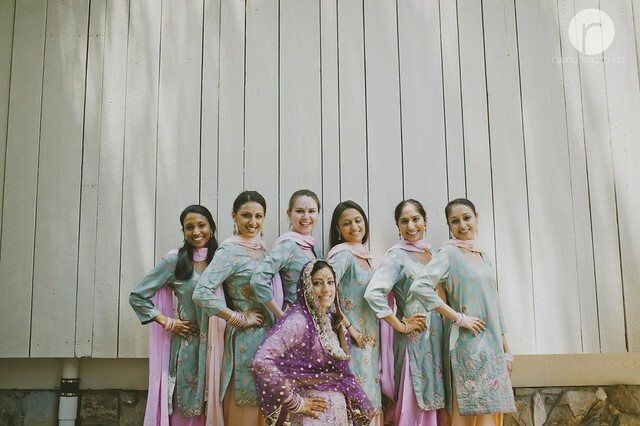 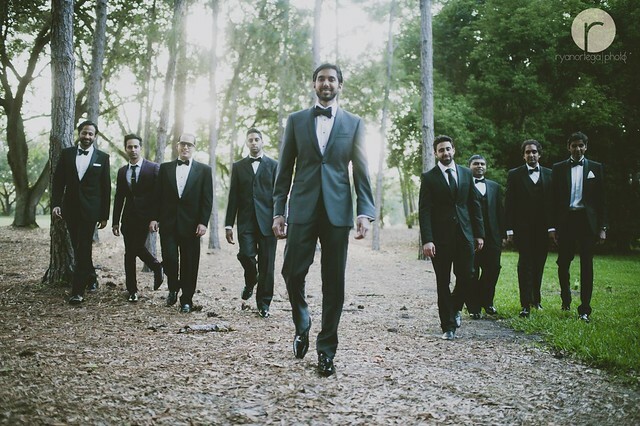 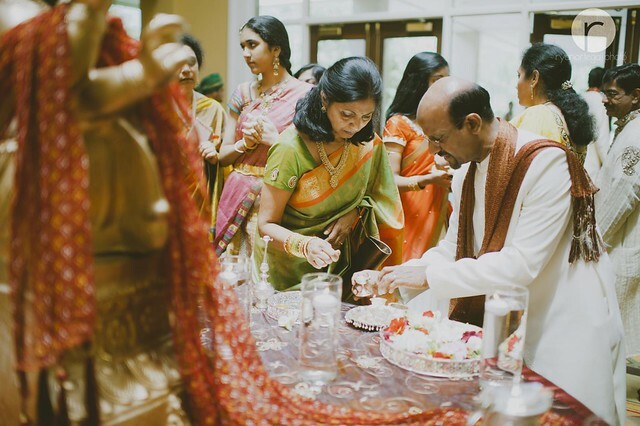 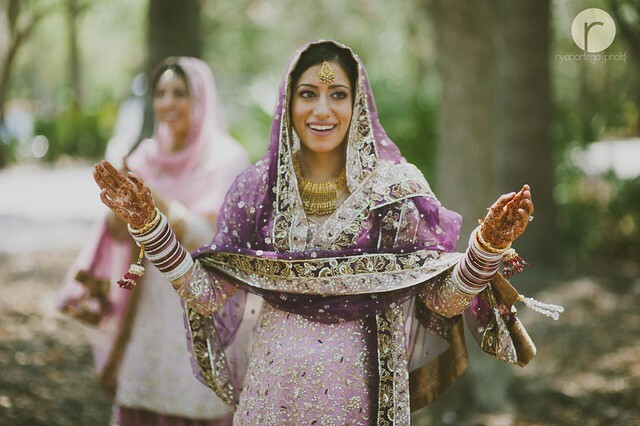 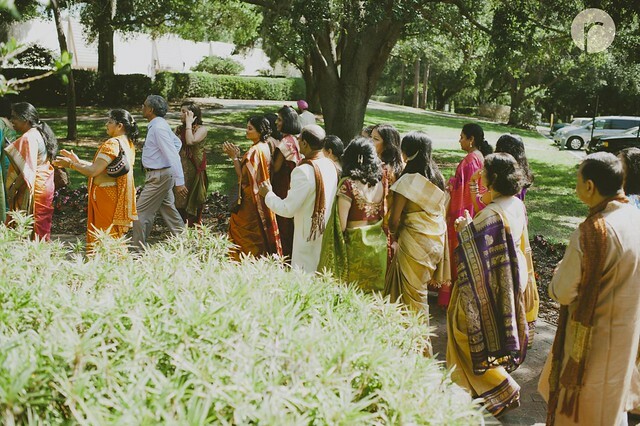 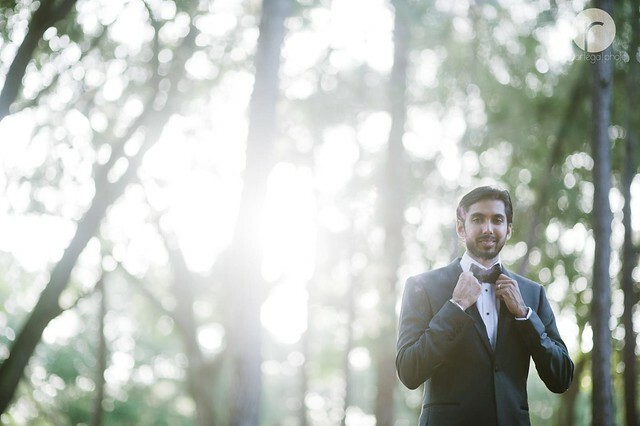 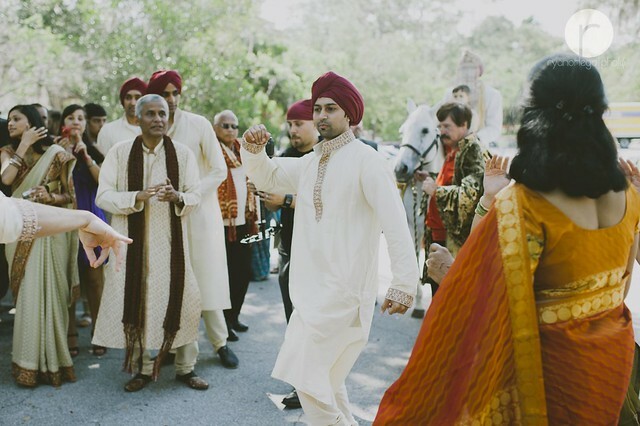 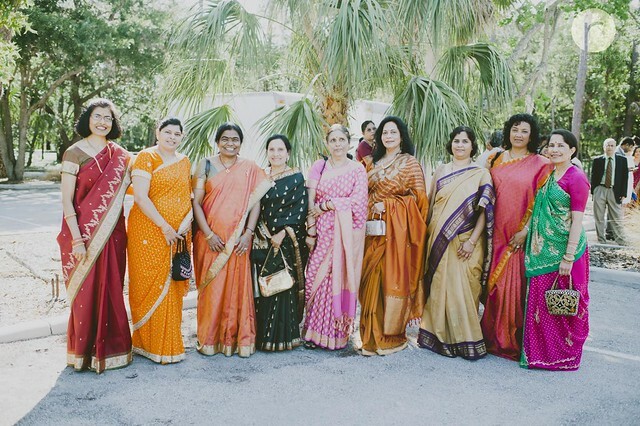 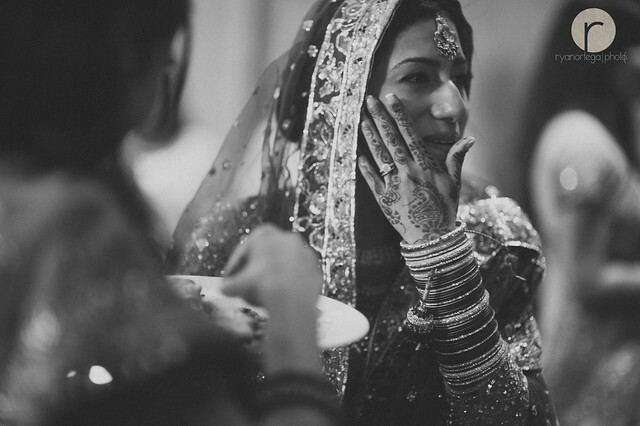 South Asian weddings are a mainstay in the social calendar of the whole community. 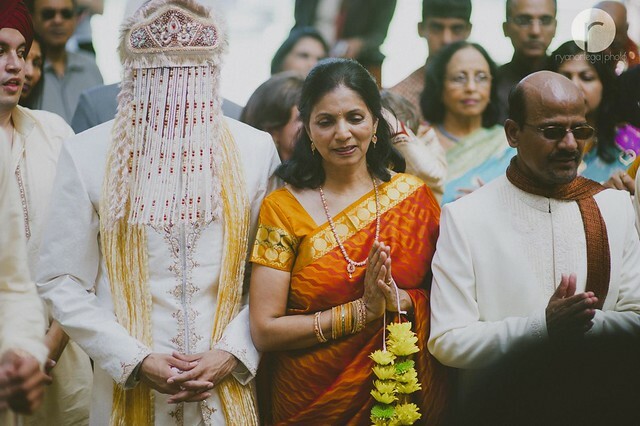 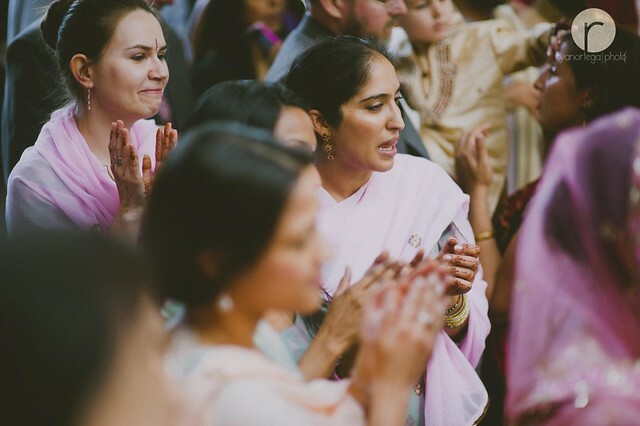 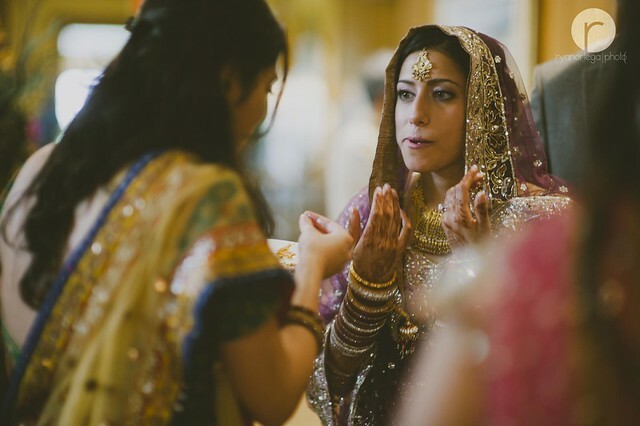 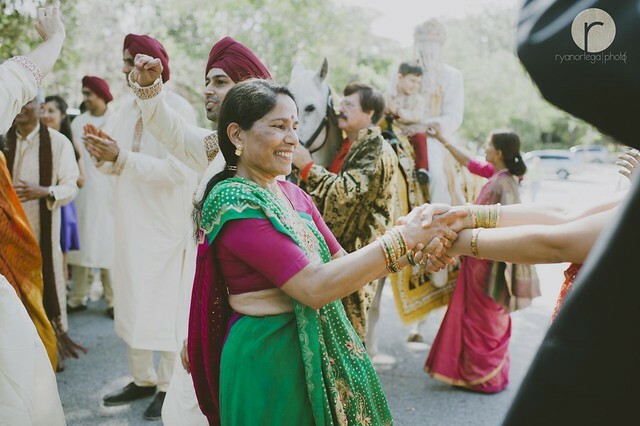 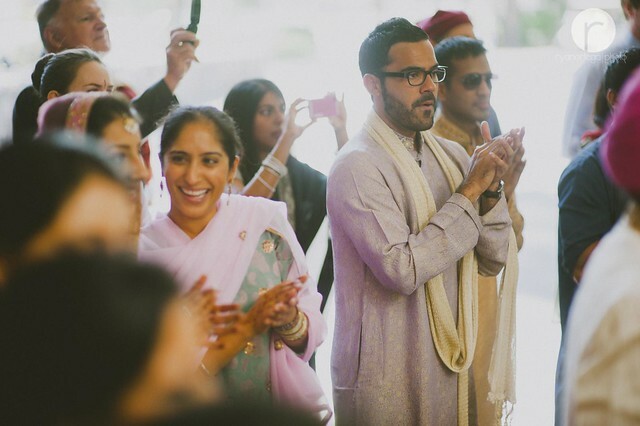 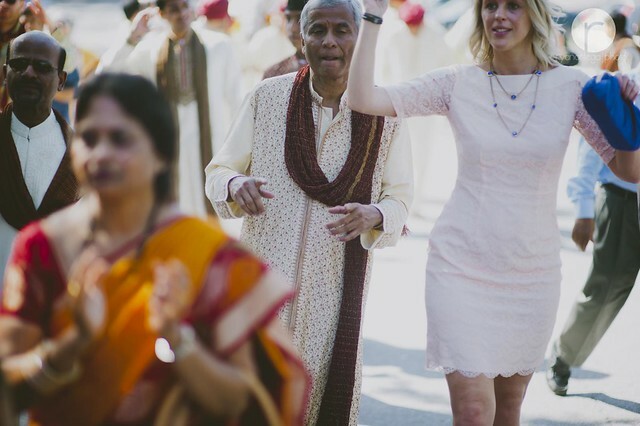 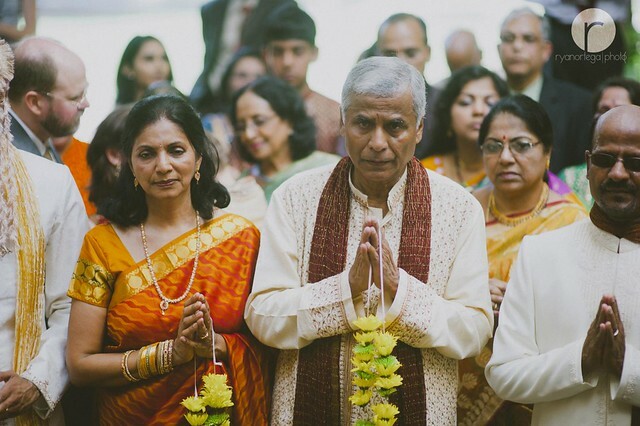 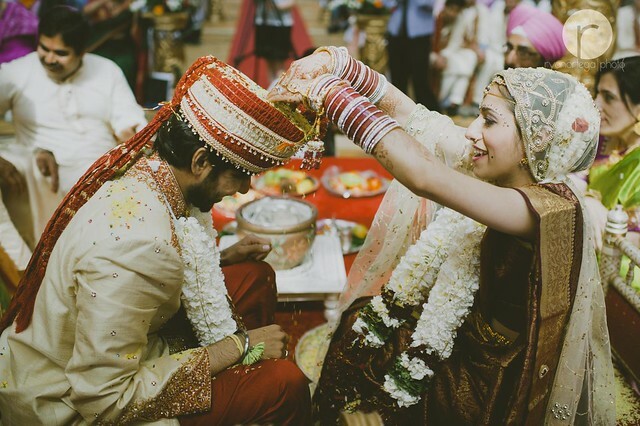 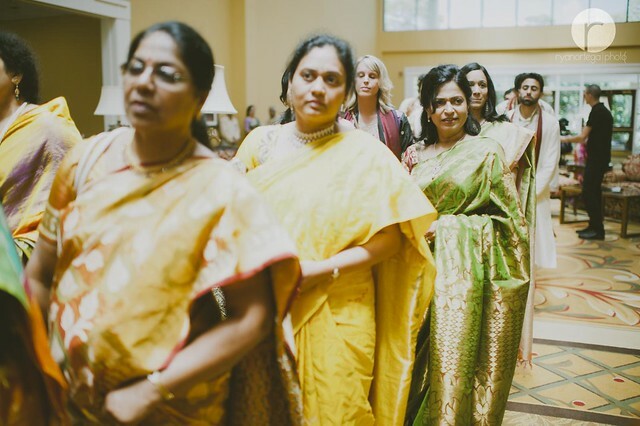 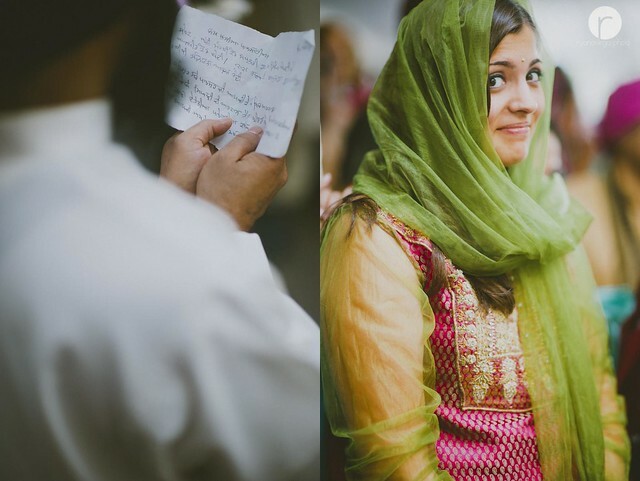 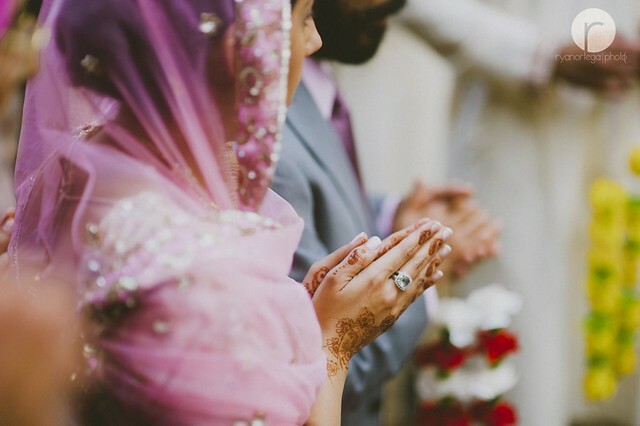 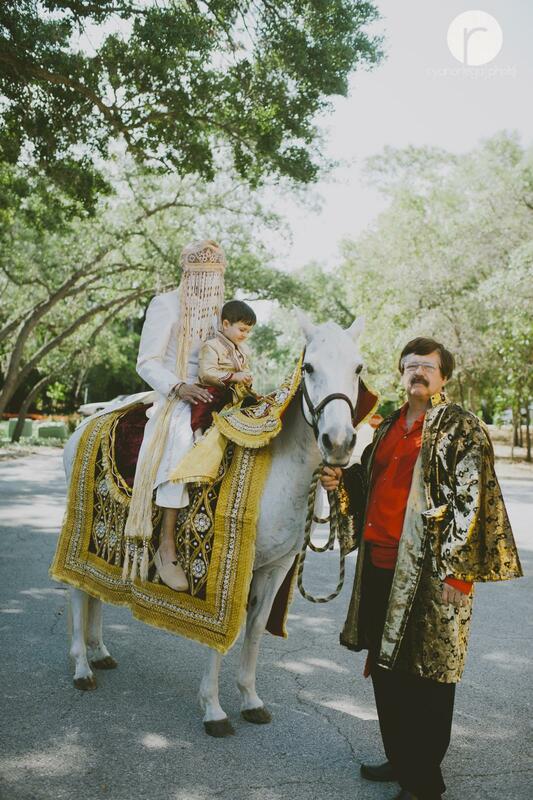 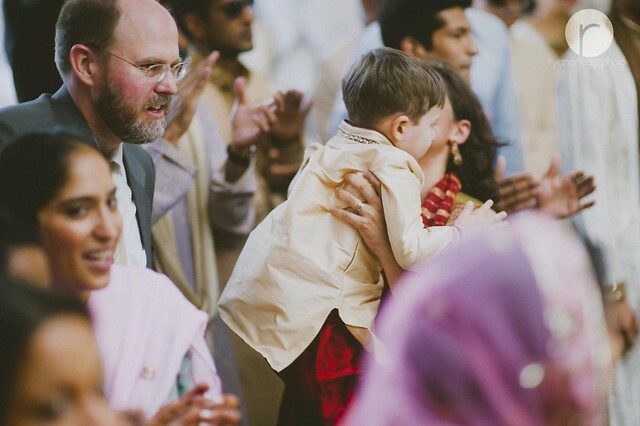 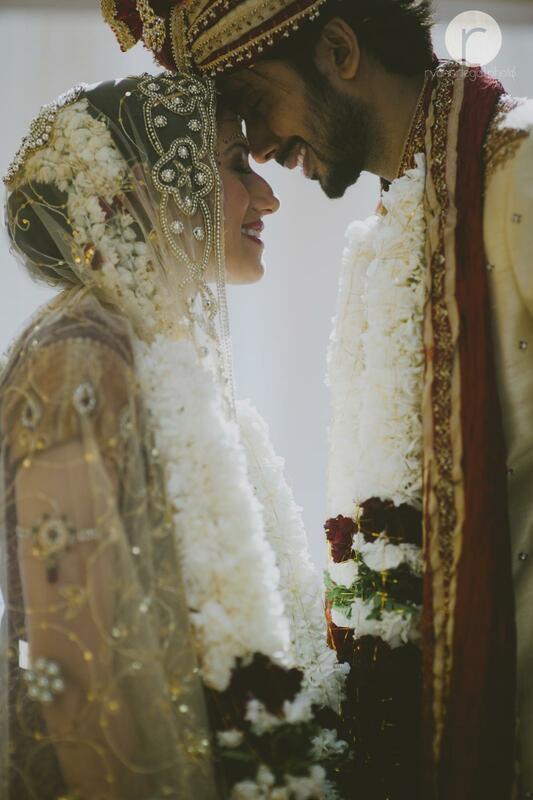 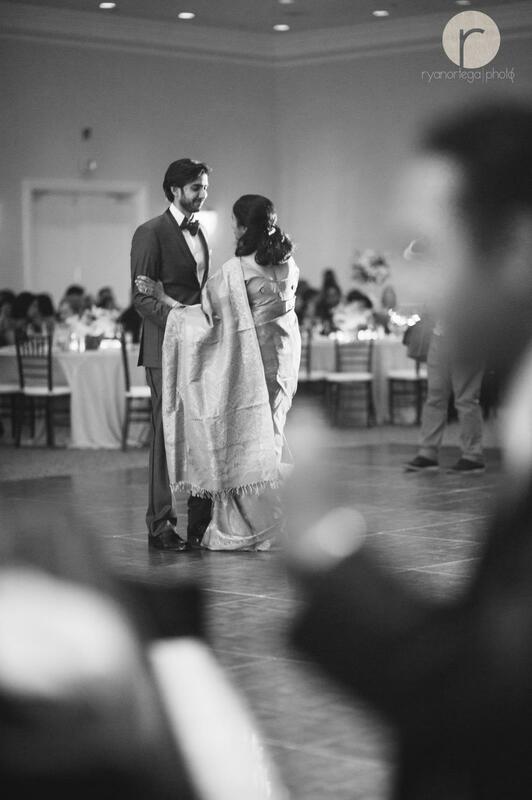 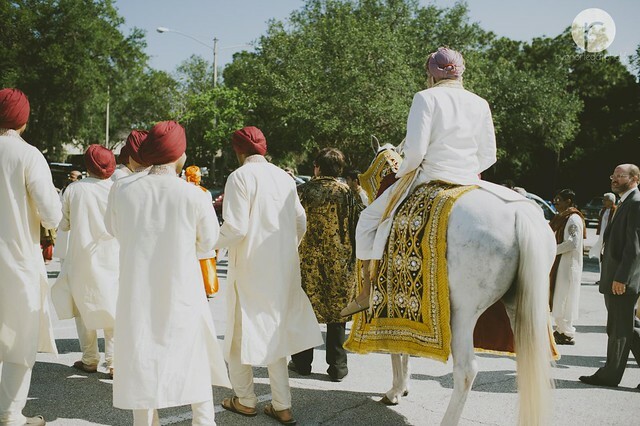 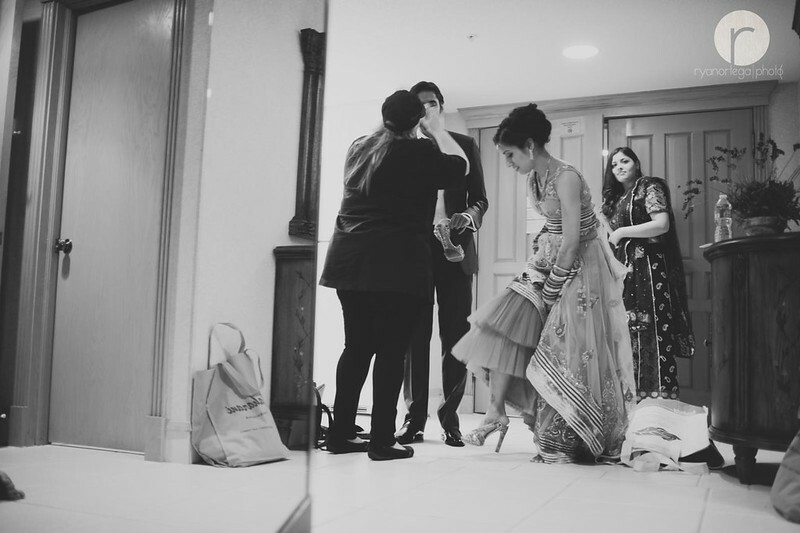 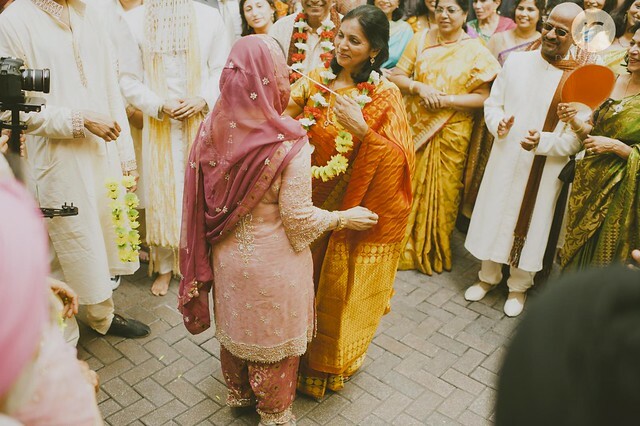 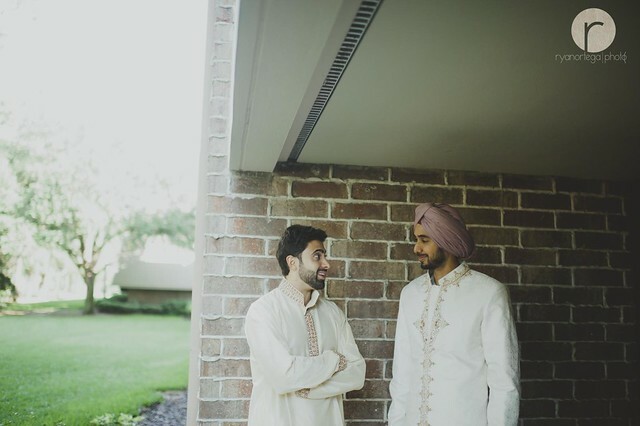 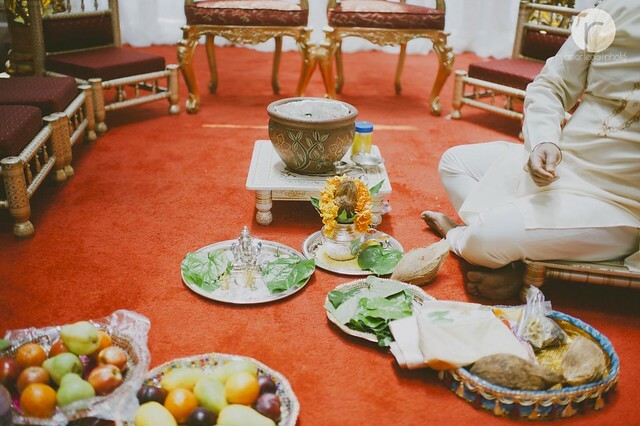 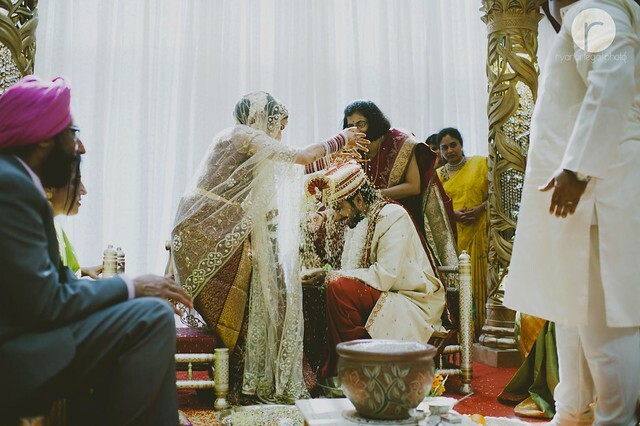 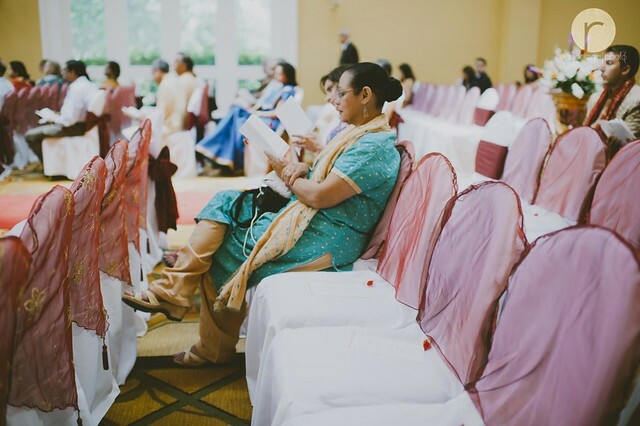 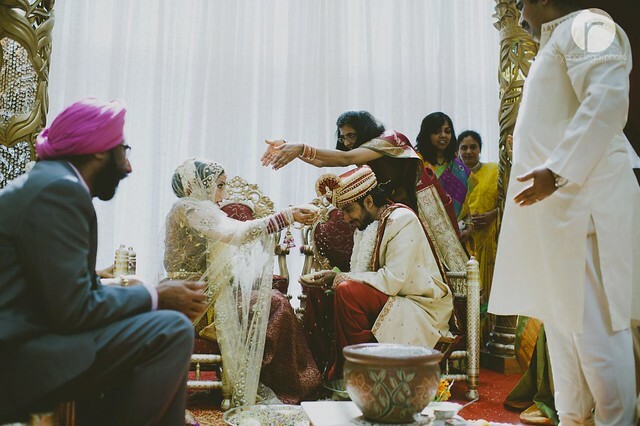 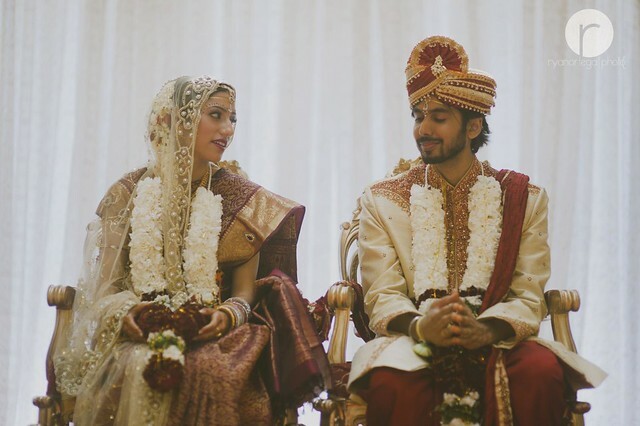 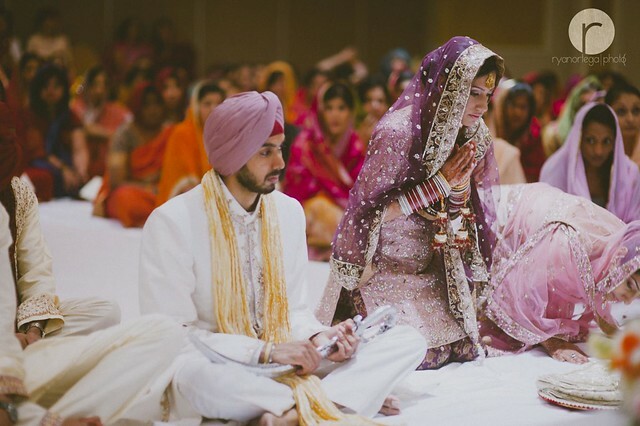 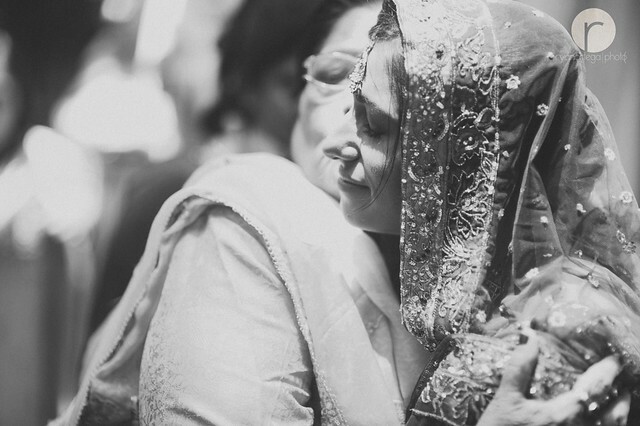 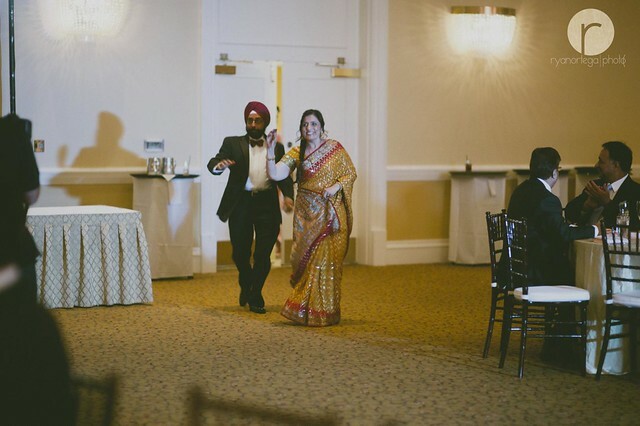 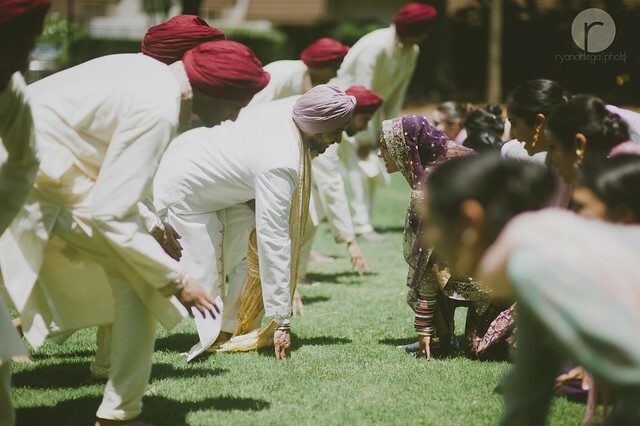 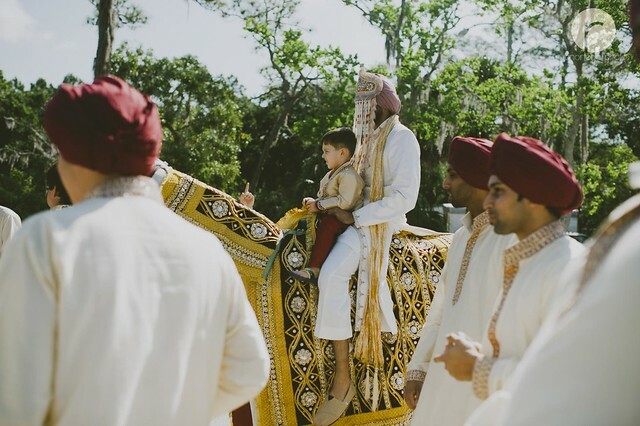 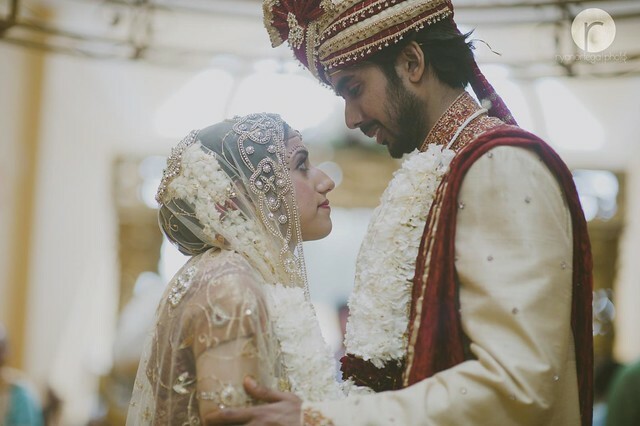 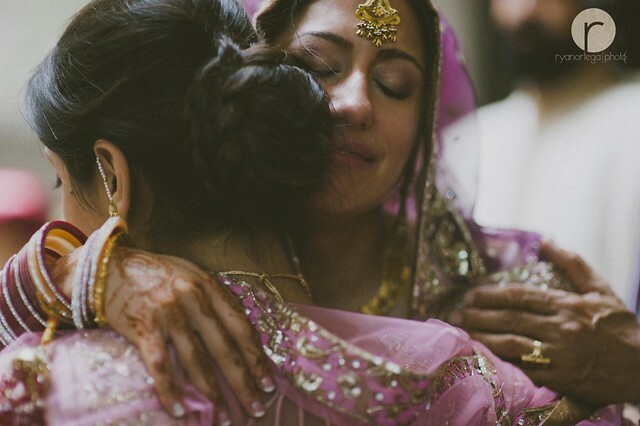 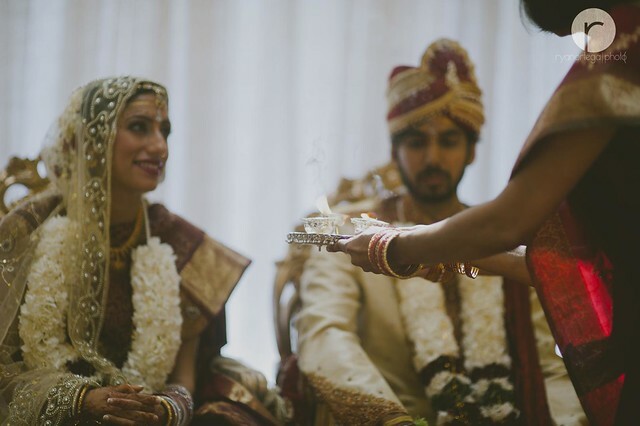 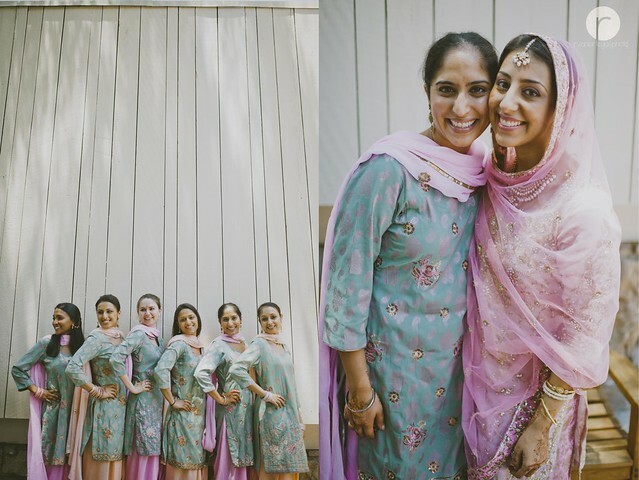 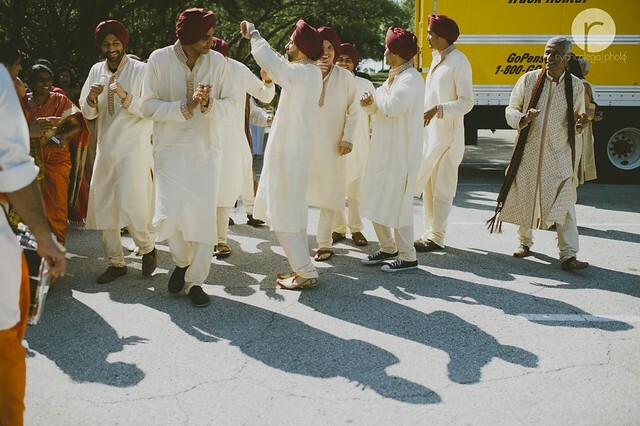 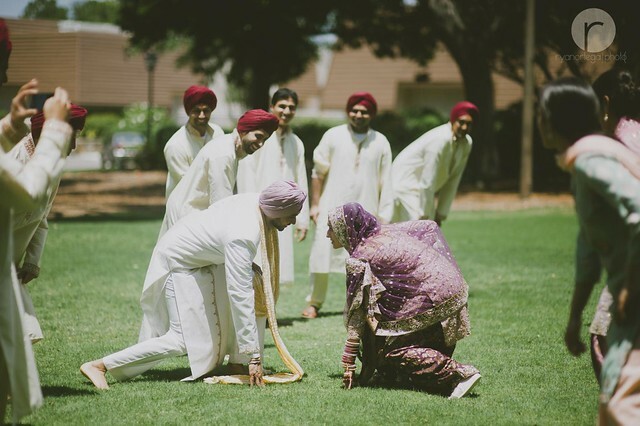 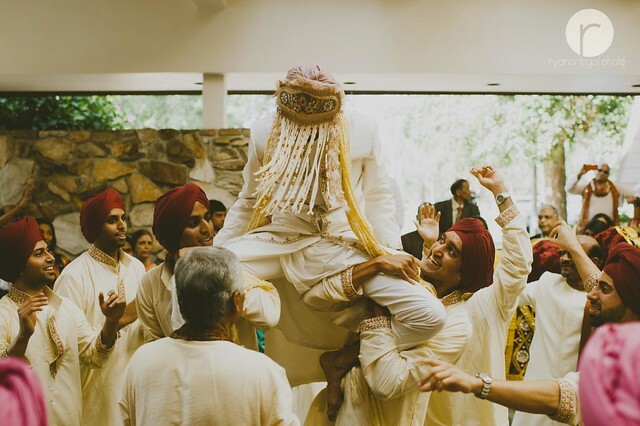 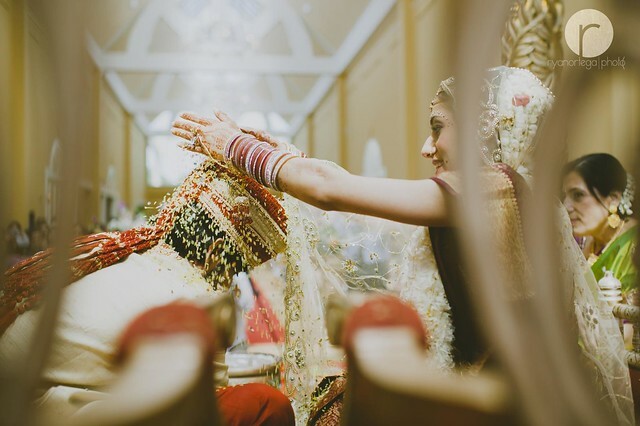 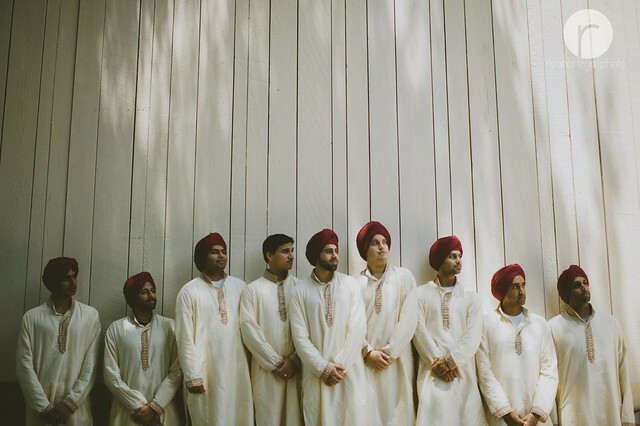 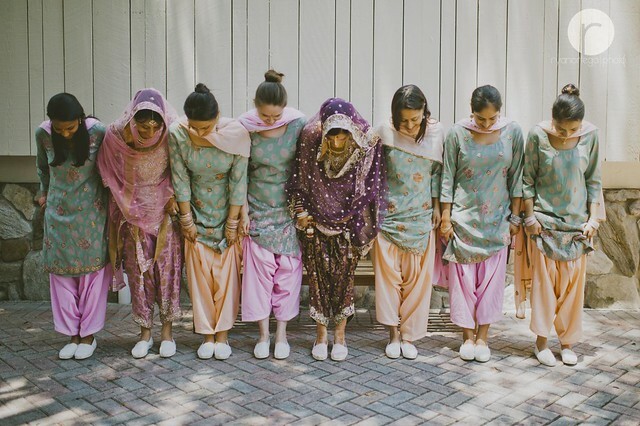 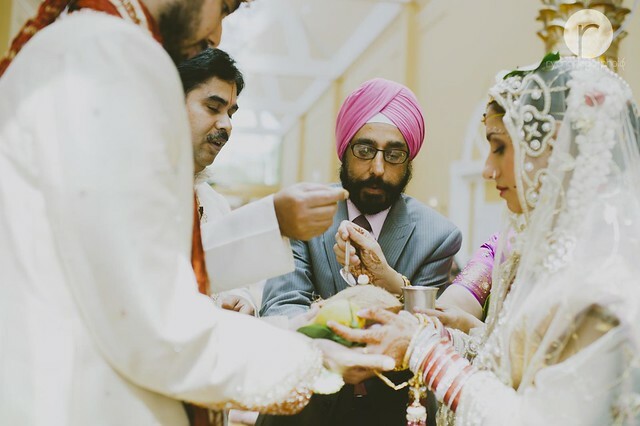 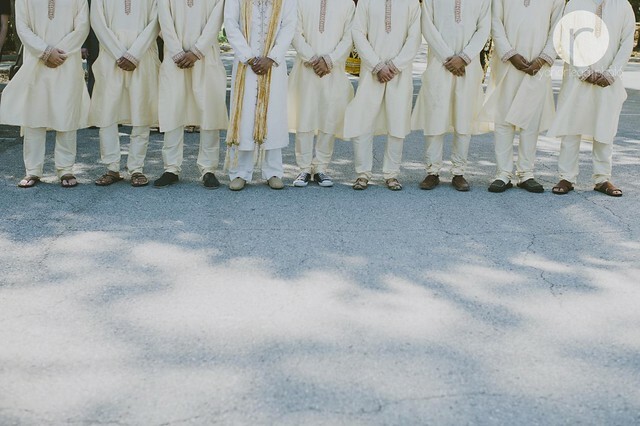 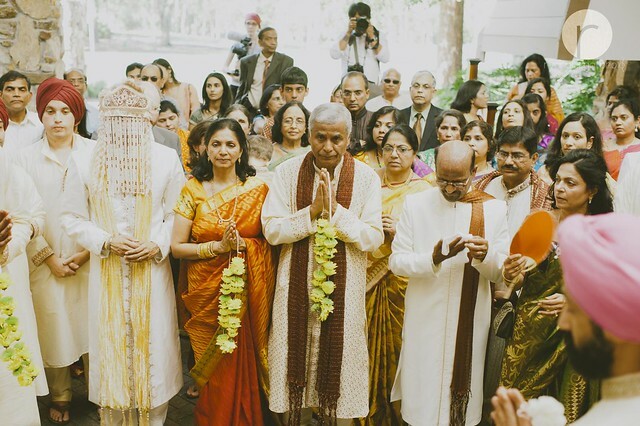 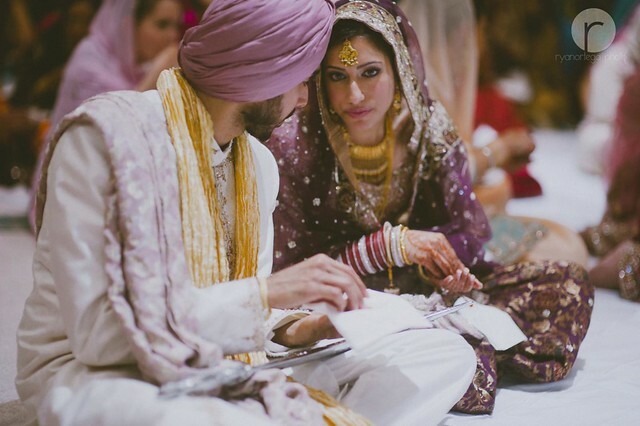 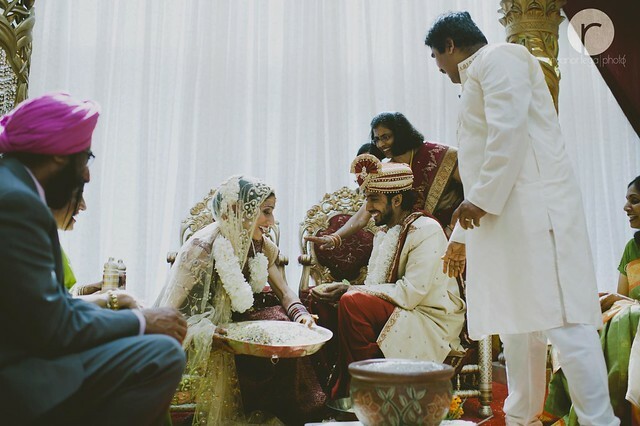 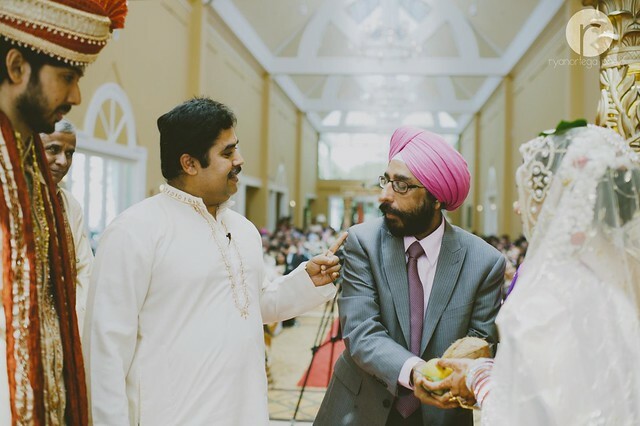 Many wedding traditions which have originated in India, Pakistan and Bangladesh have carried over to second and third generation immigrant populations in western countries such as the UK and United States. 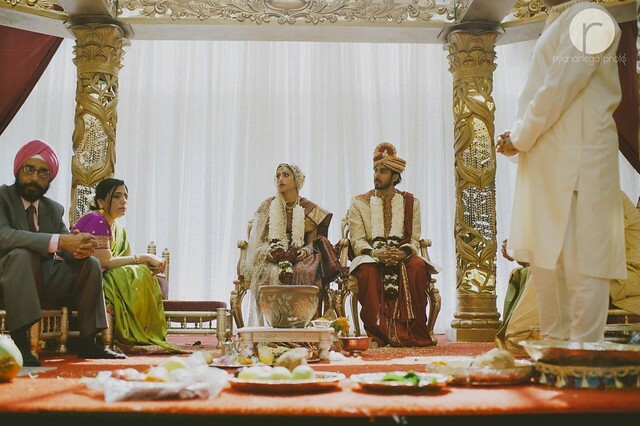 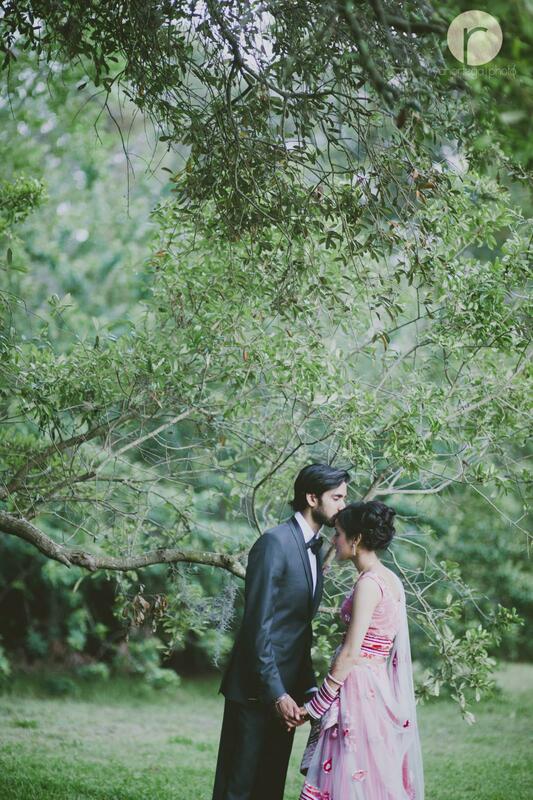 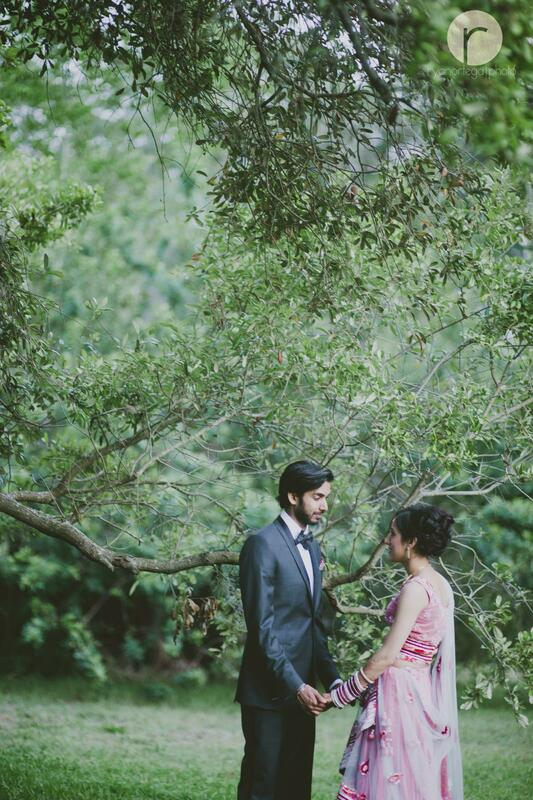 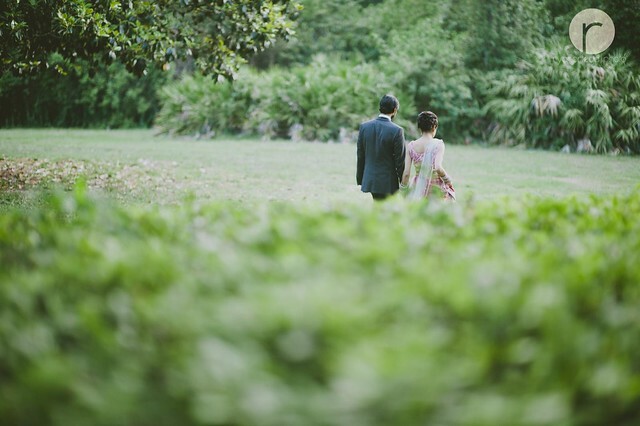 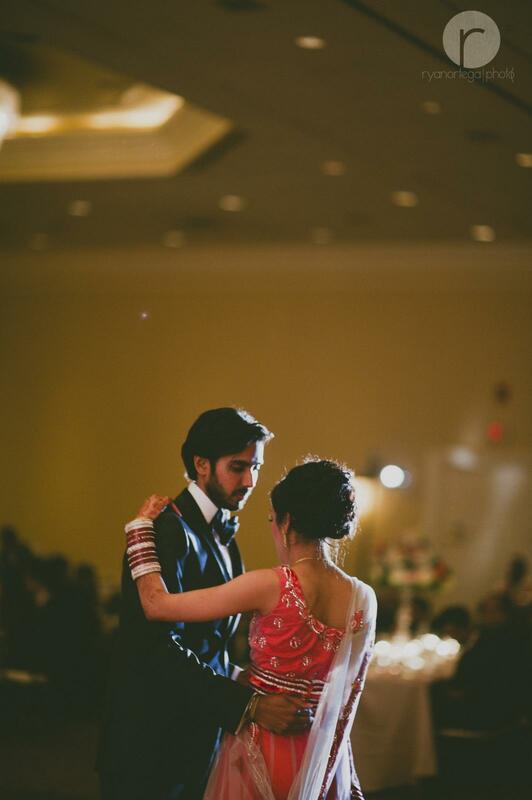 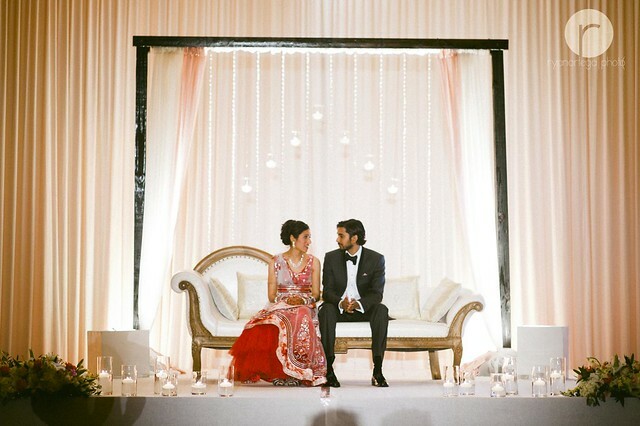 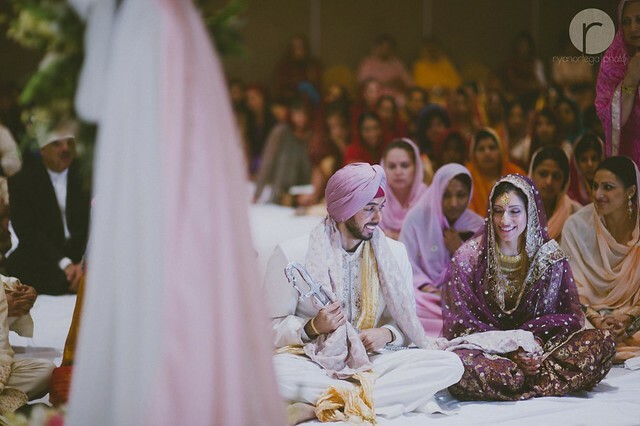 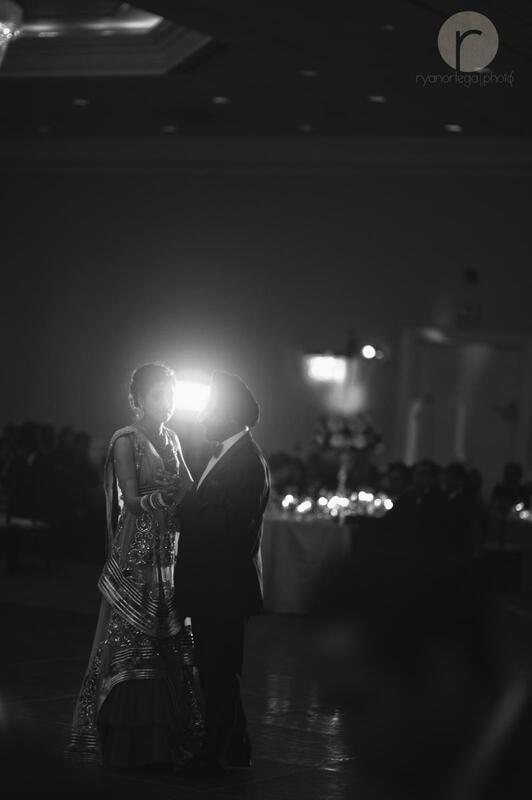 Increasingly, younger Asian couples are starting to incorporate Western features into their weddings, such as speeches, the first dance, as well as the traditional wedding cake.